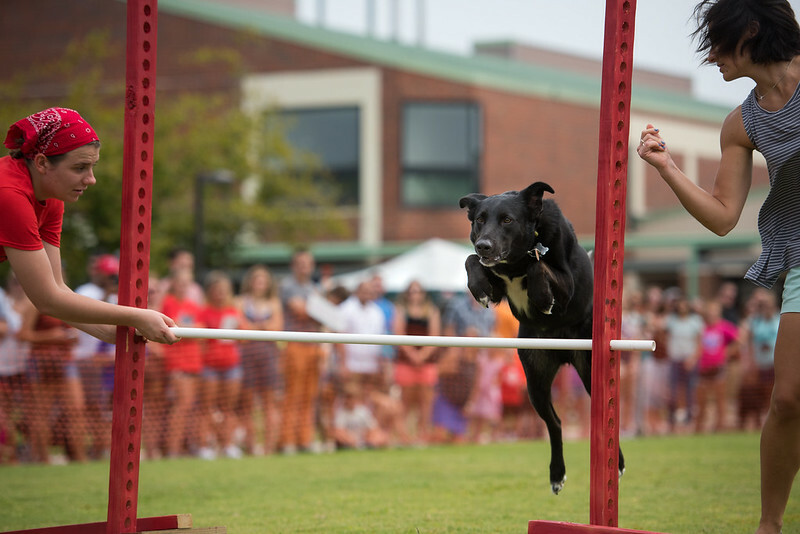 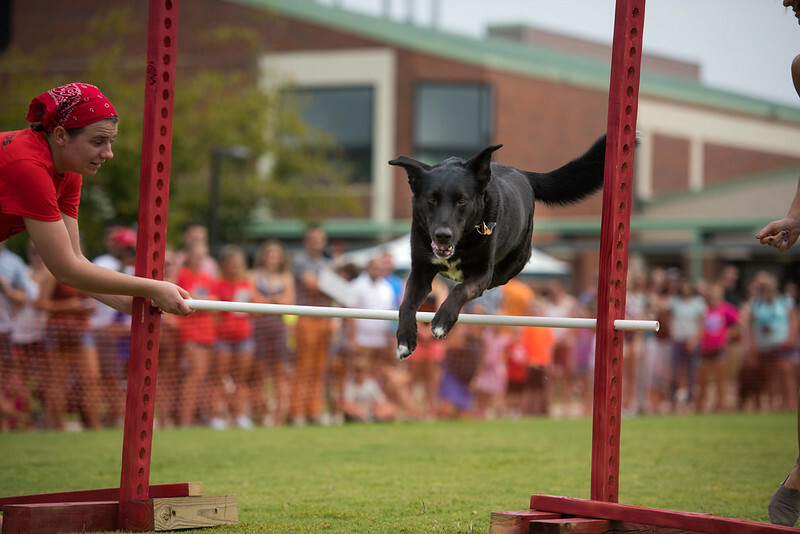 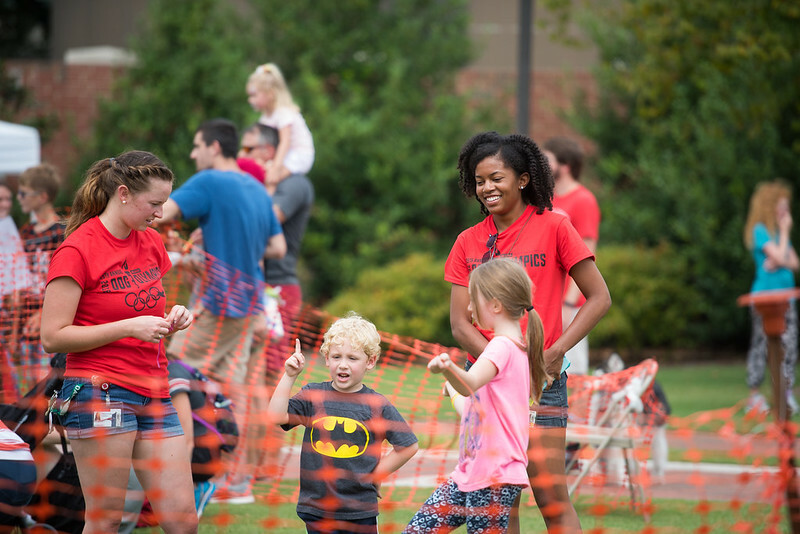 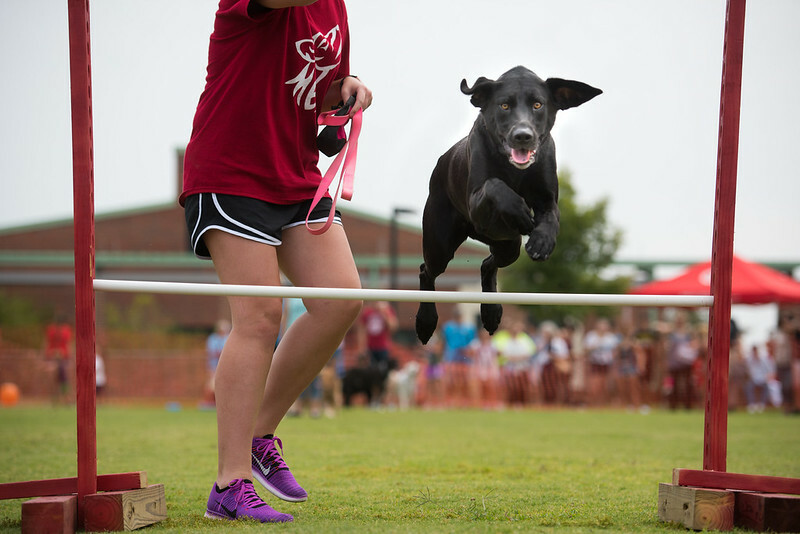 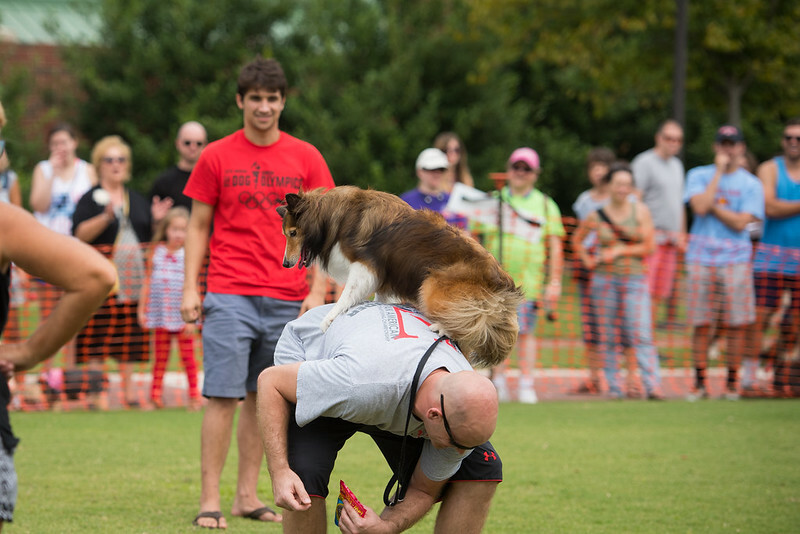 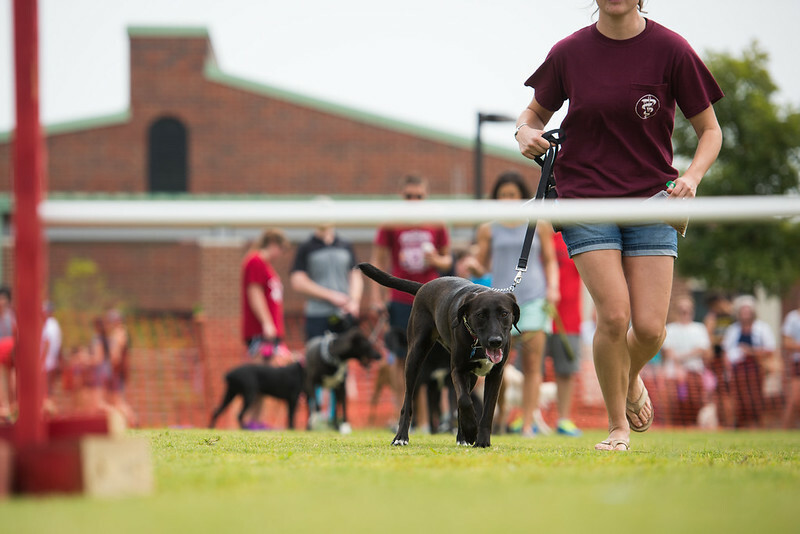 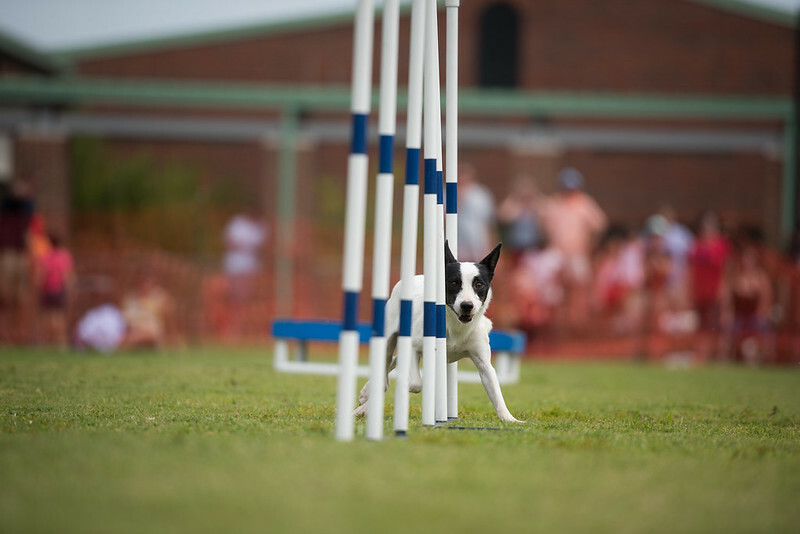 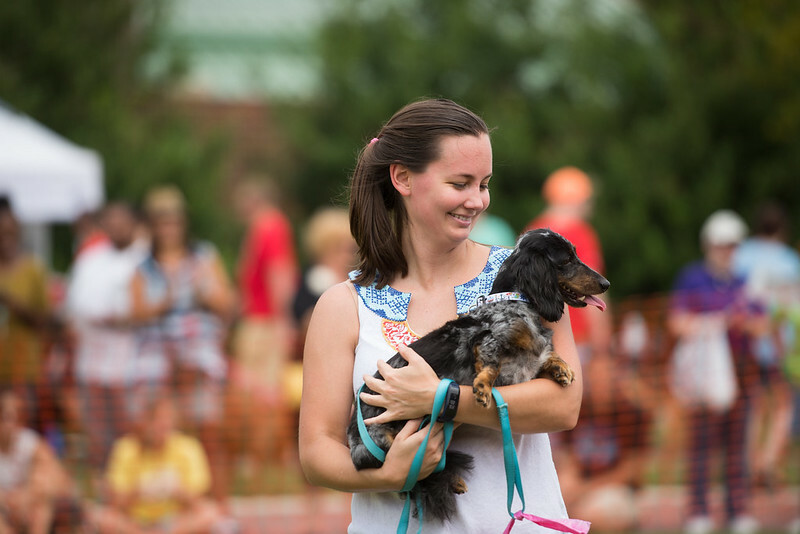 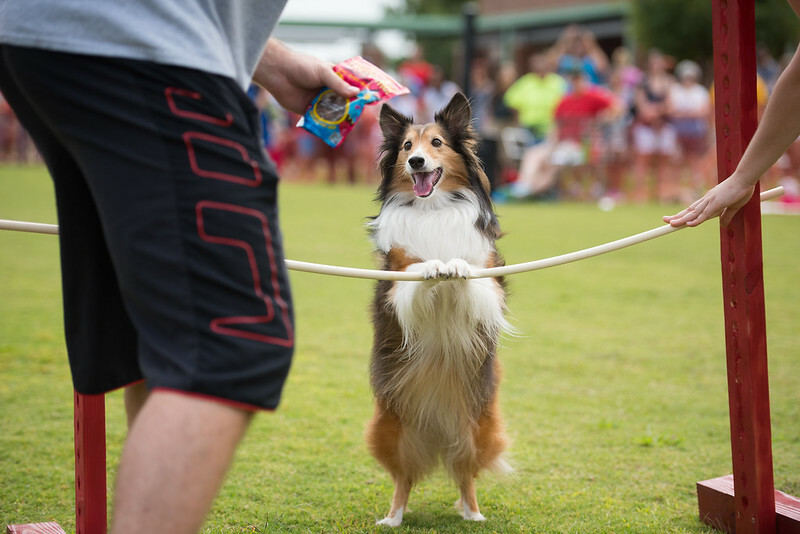 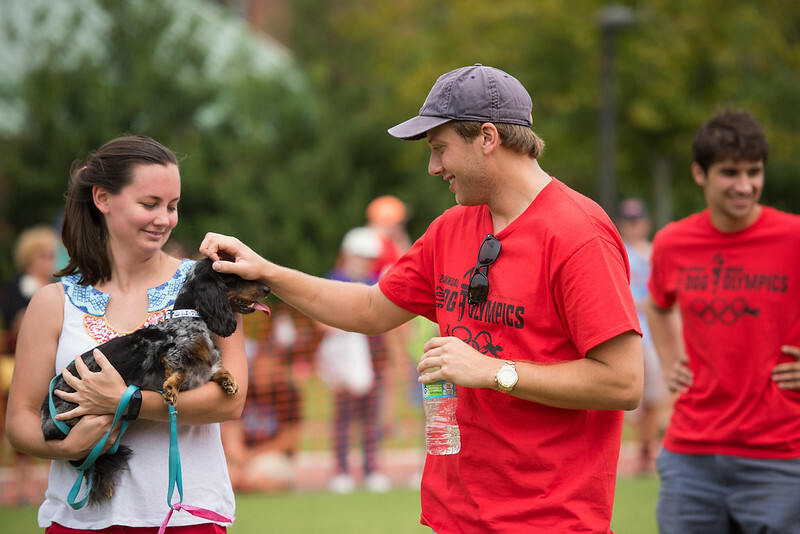 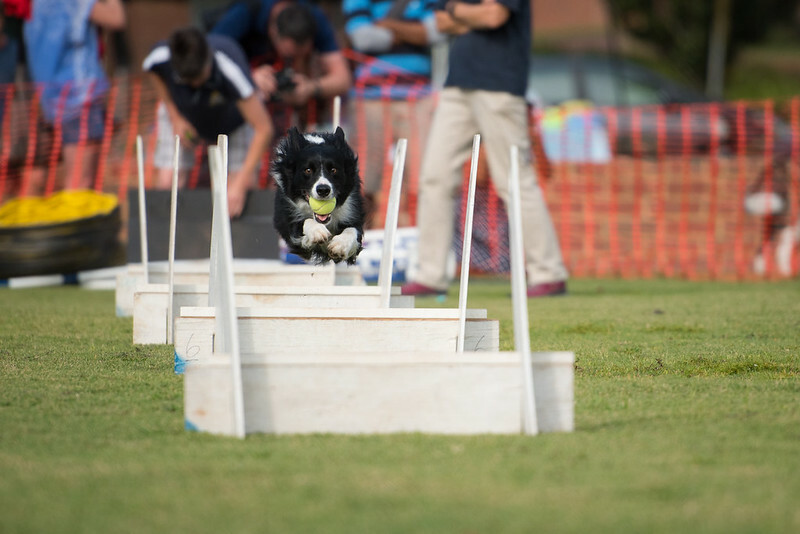 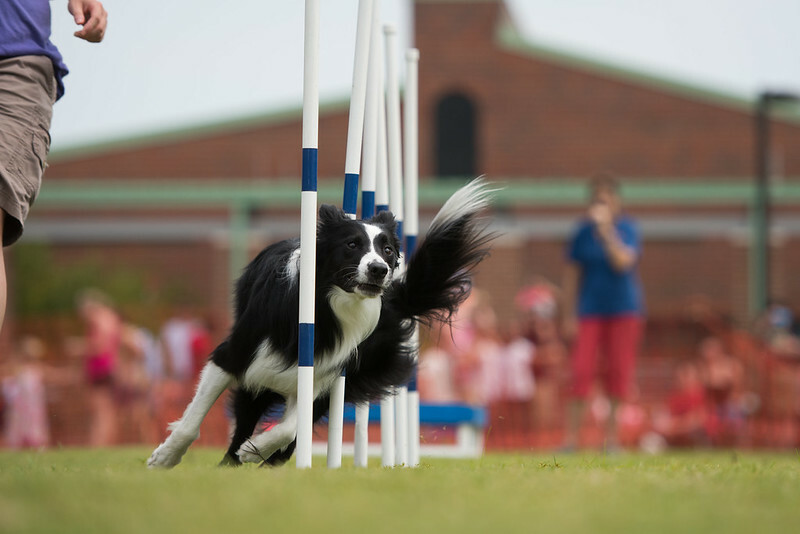 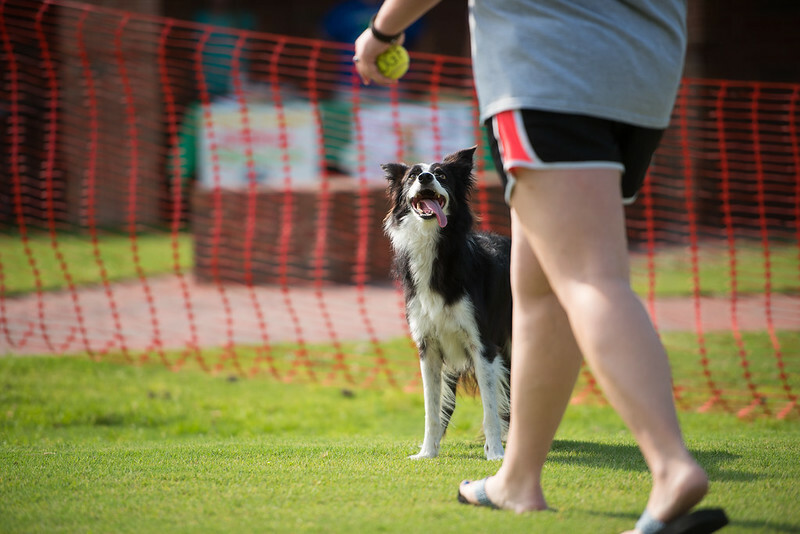 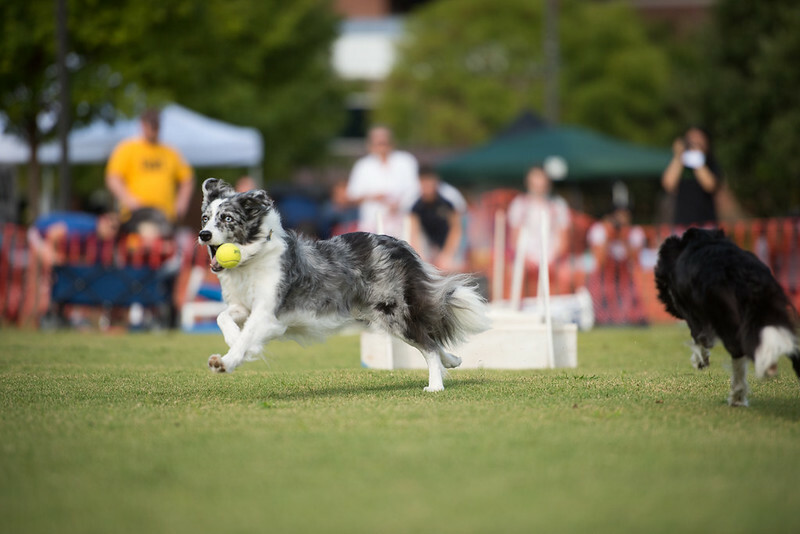 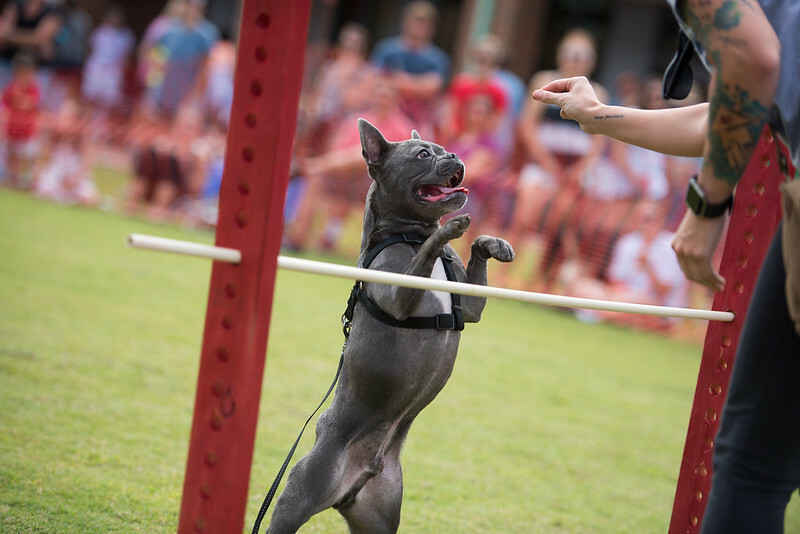 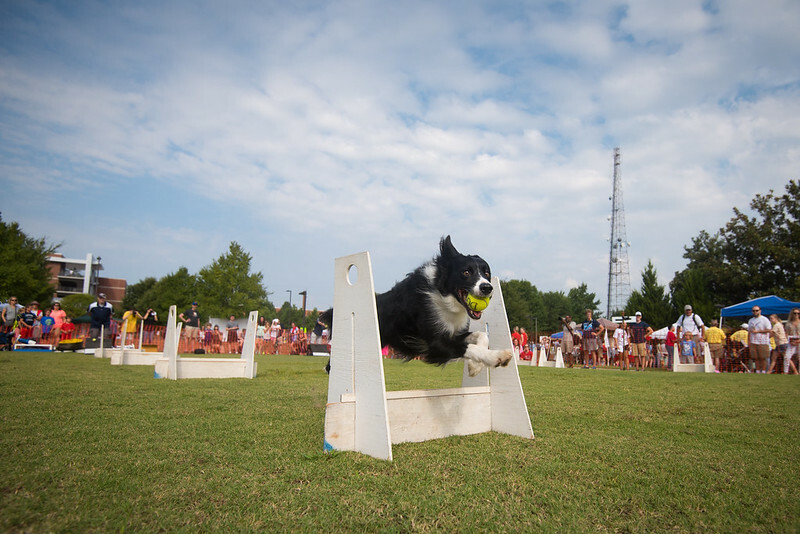 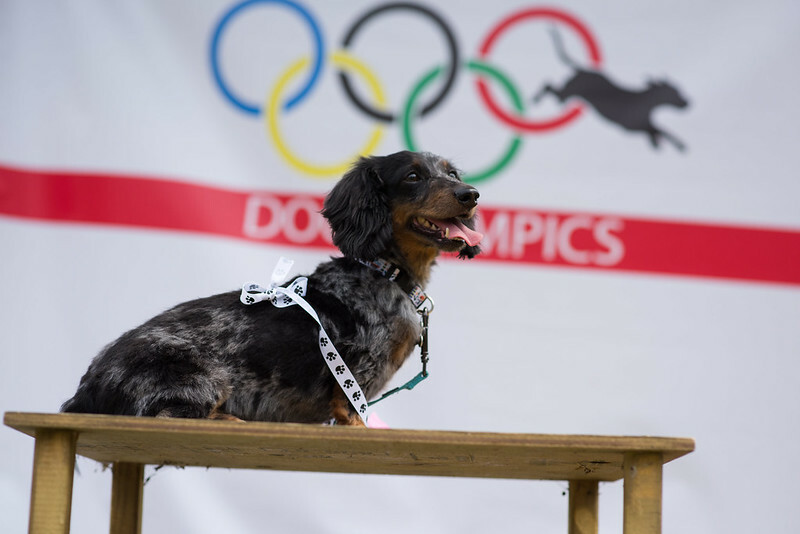 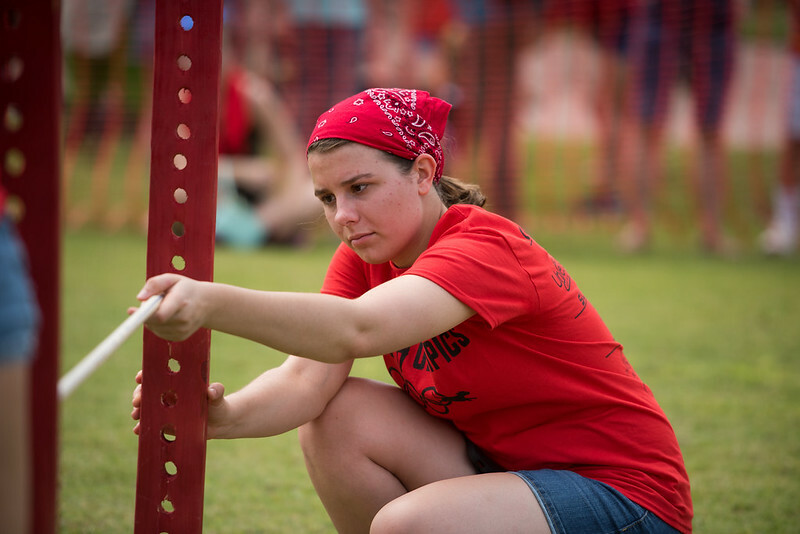 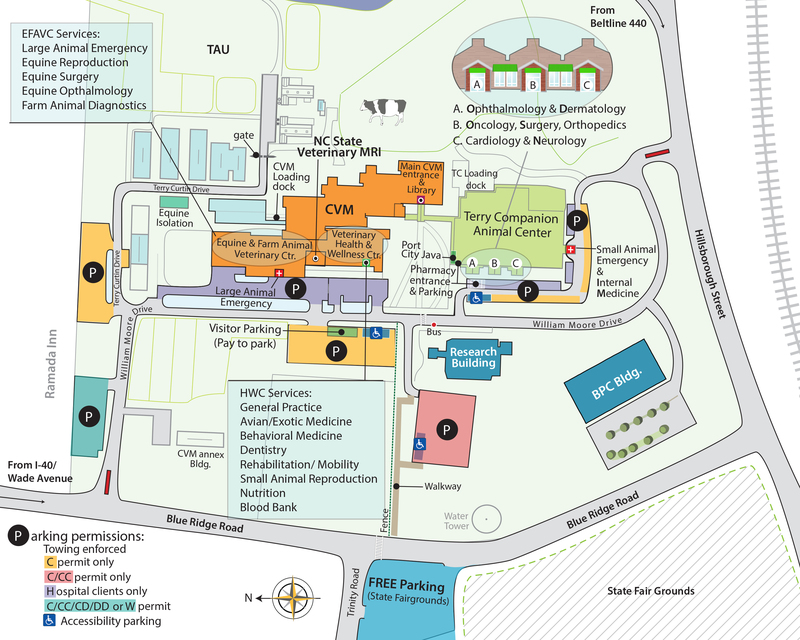 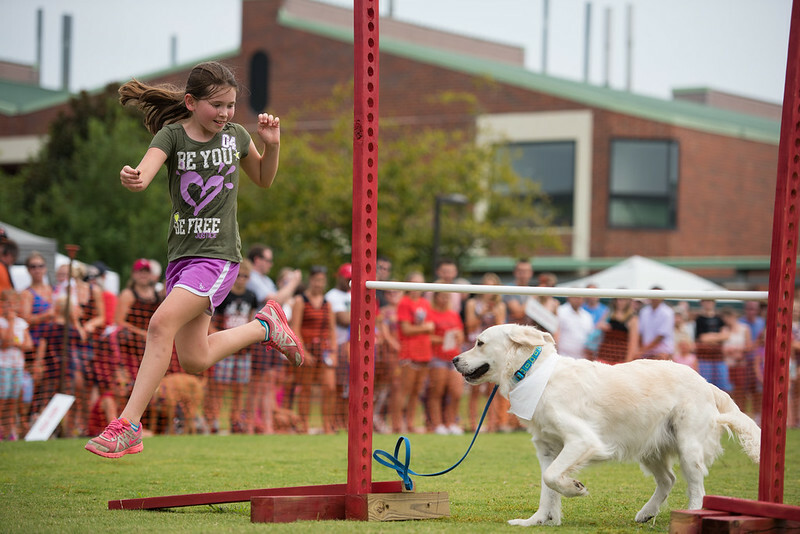 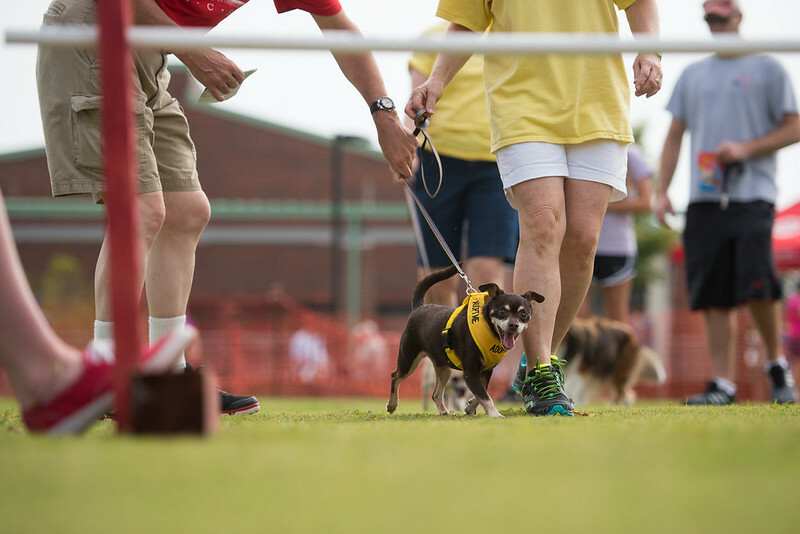 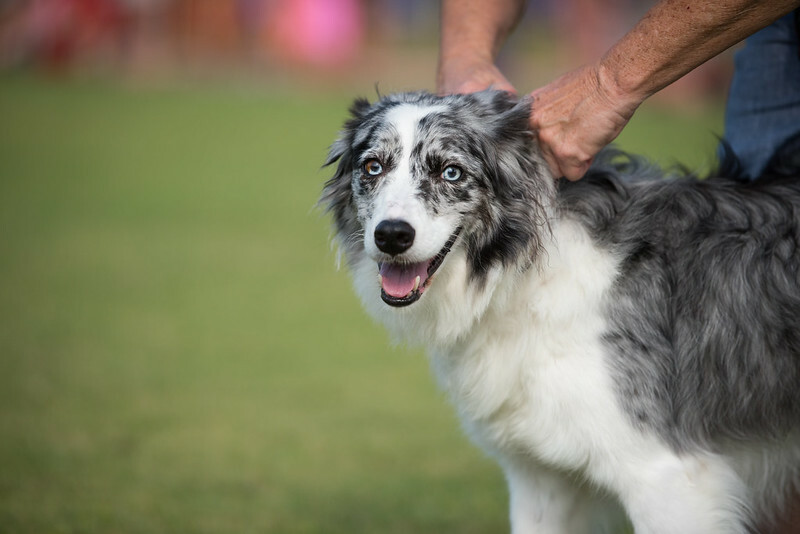 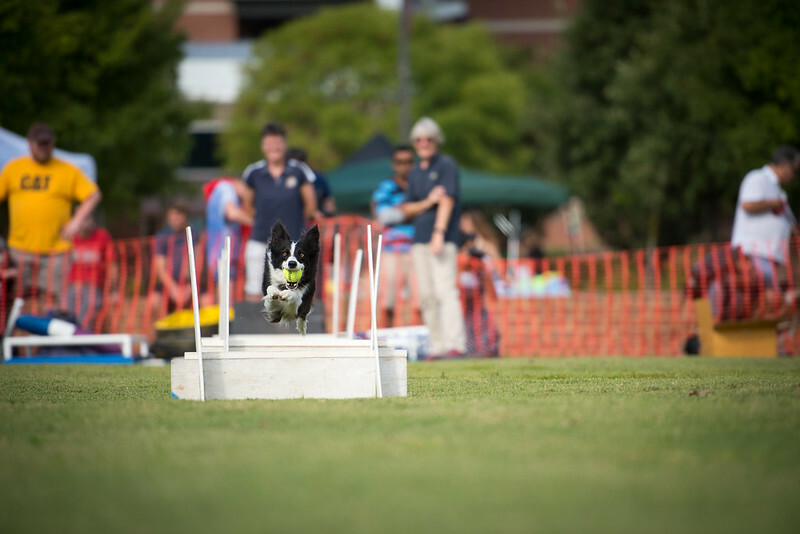 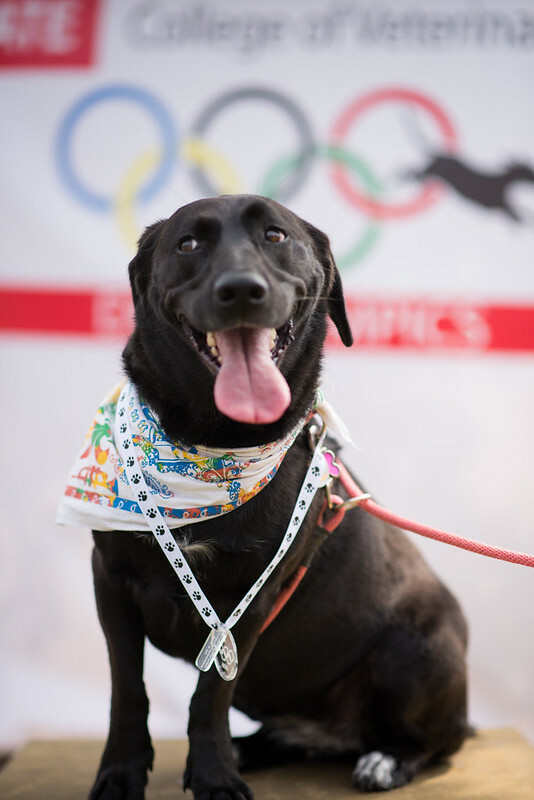 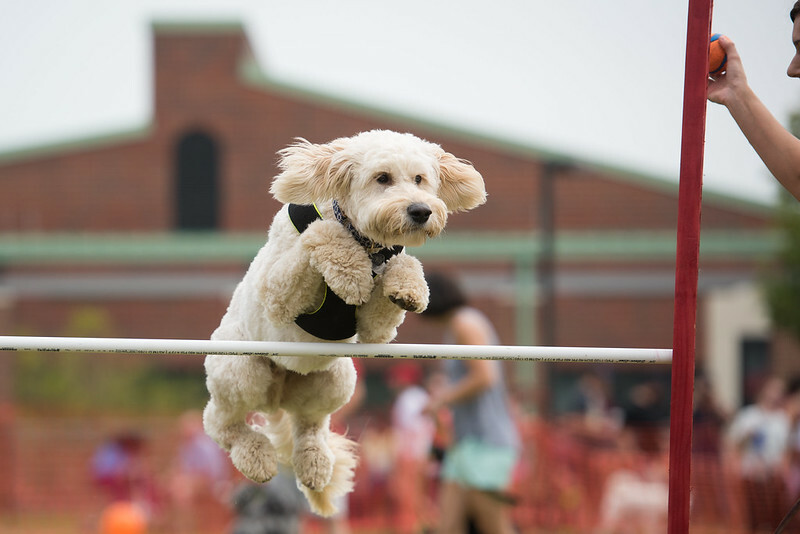 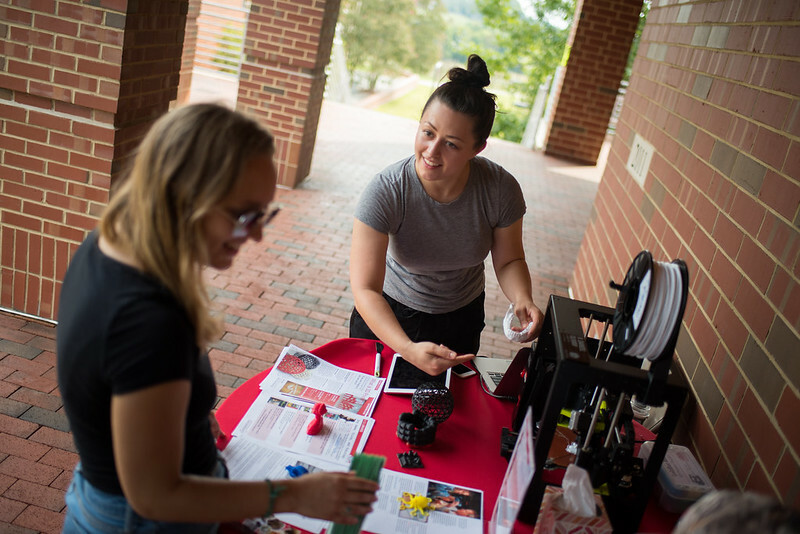 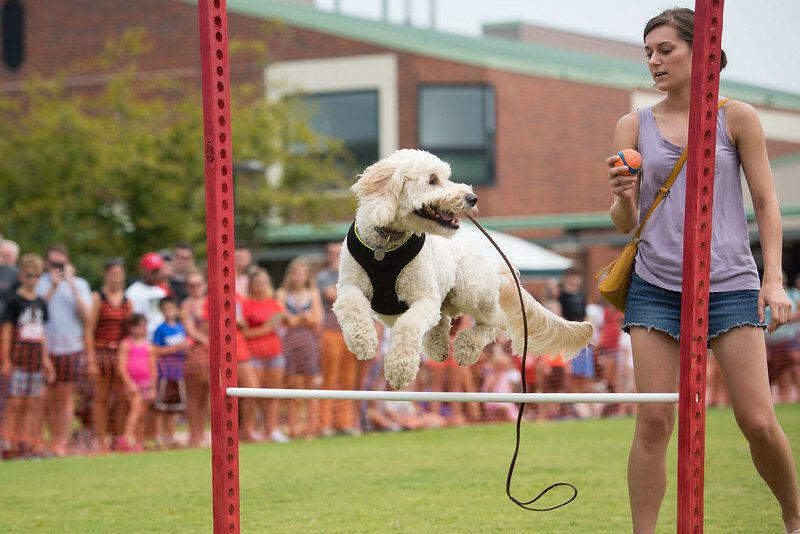 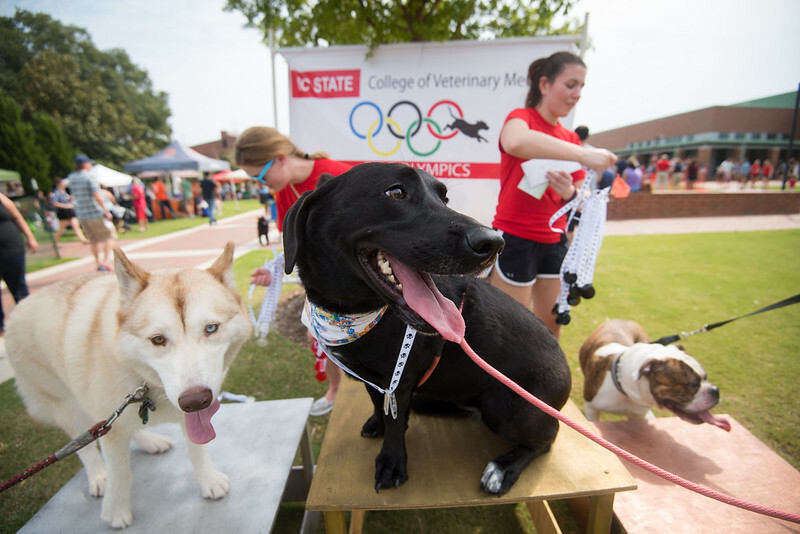 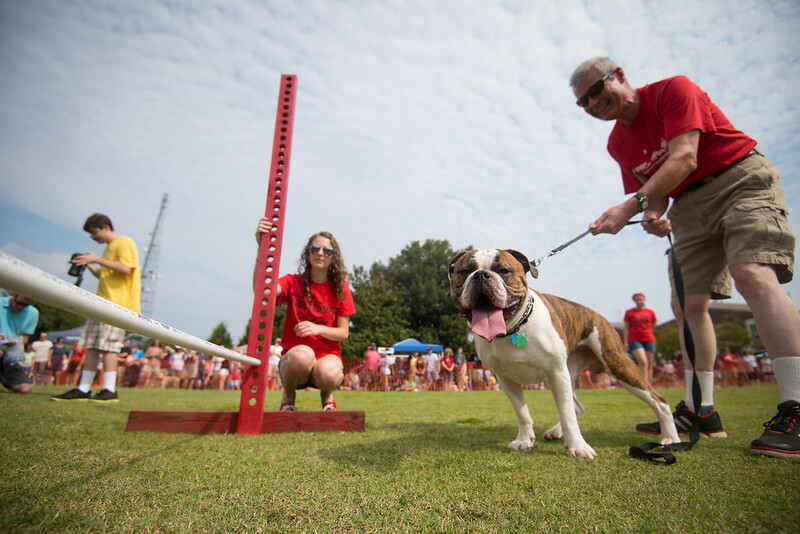 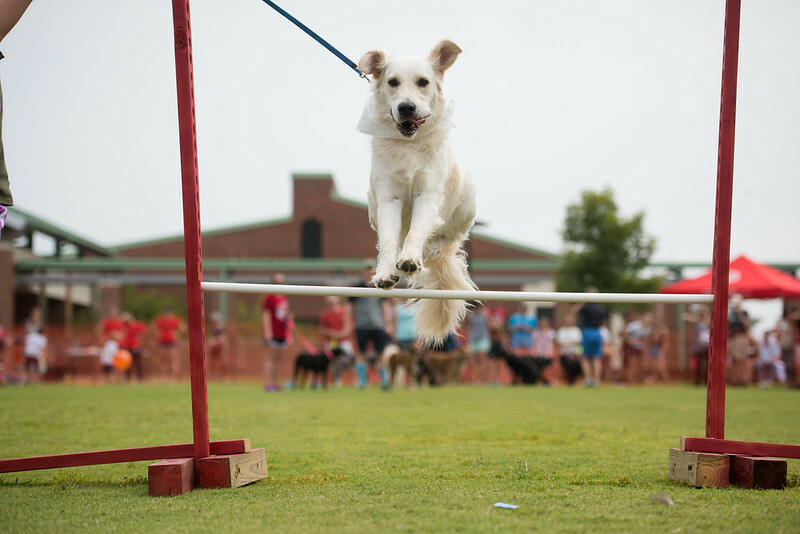 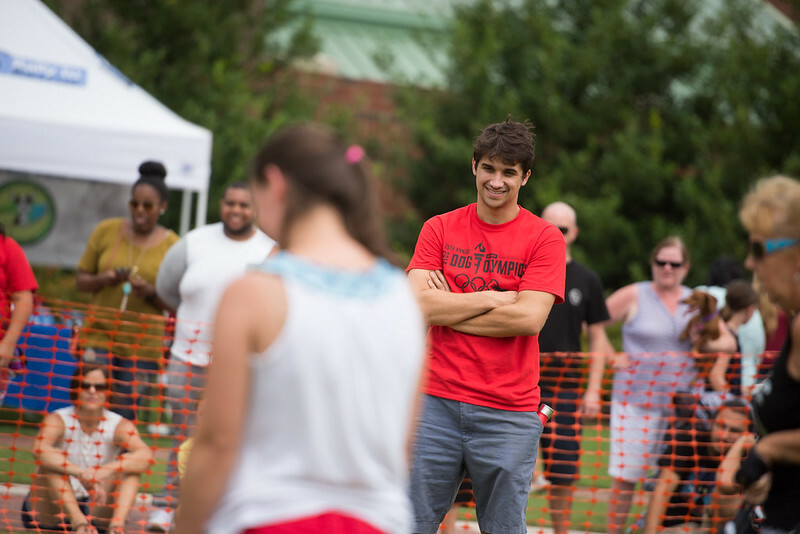 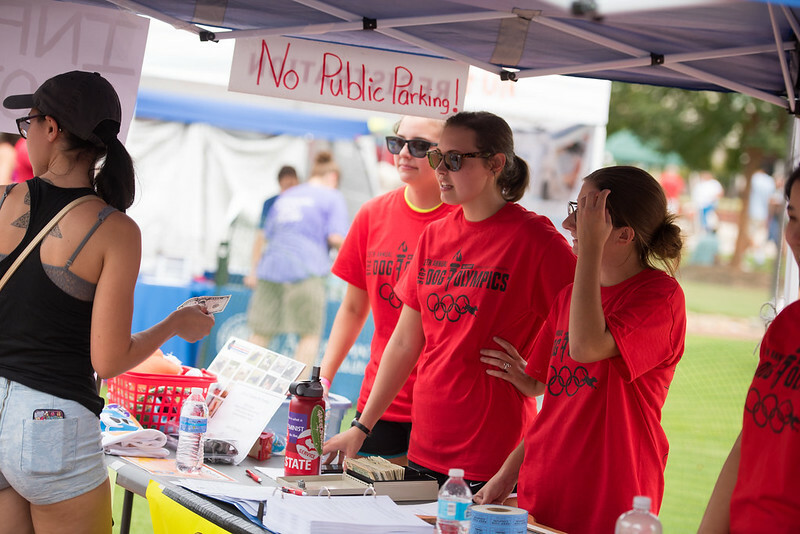 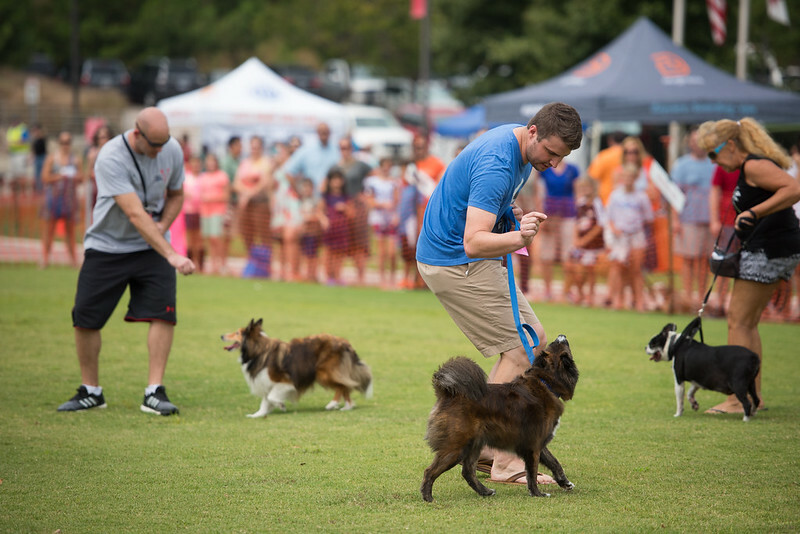 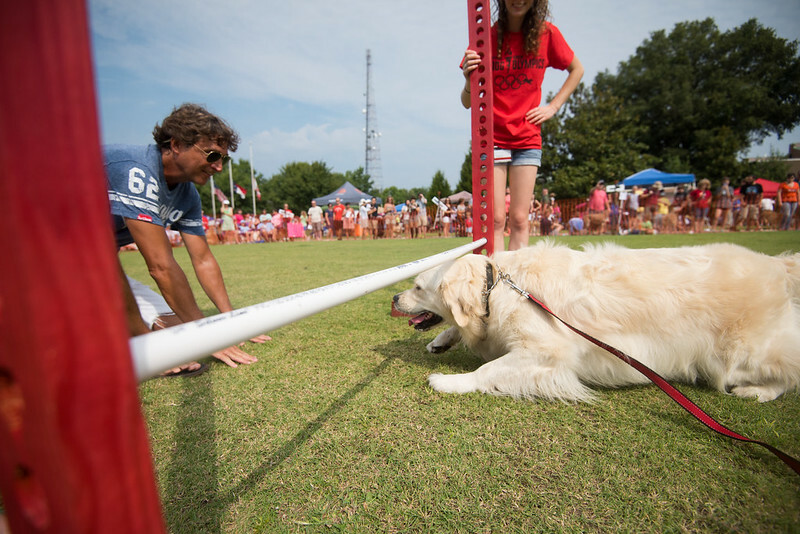 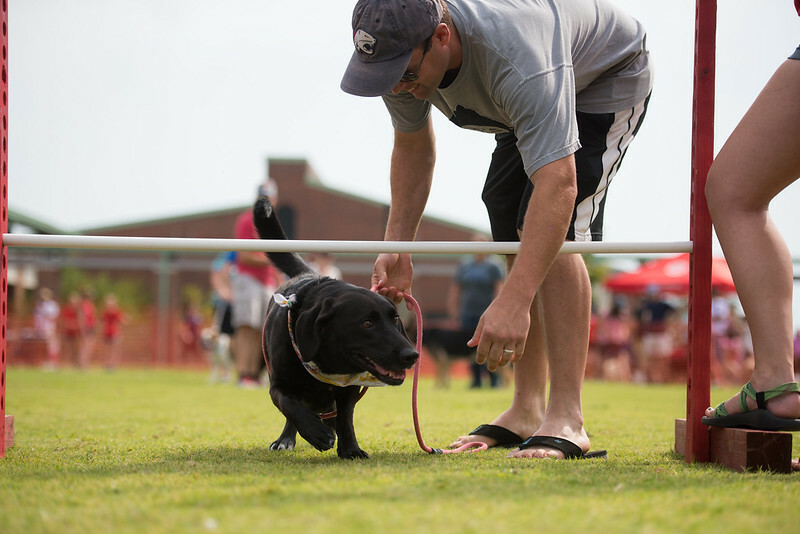 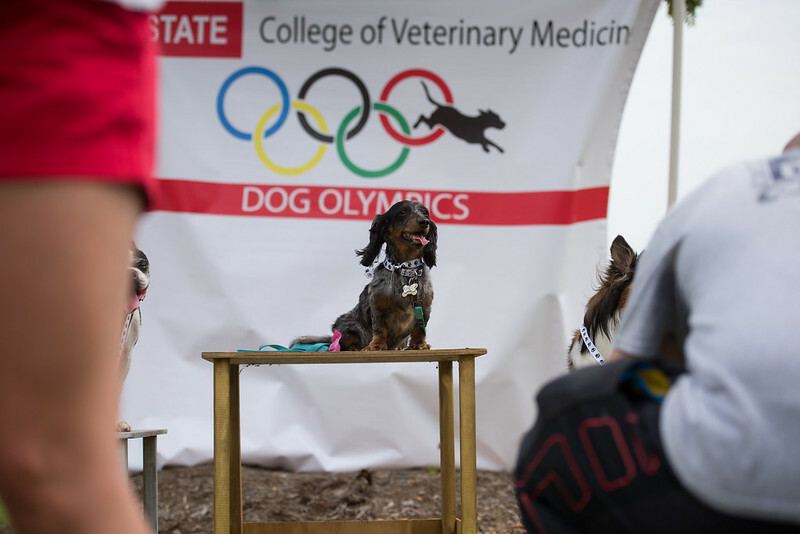 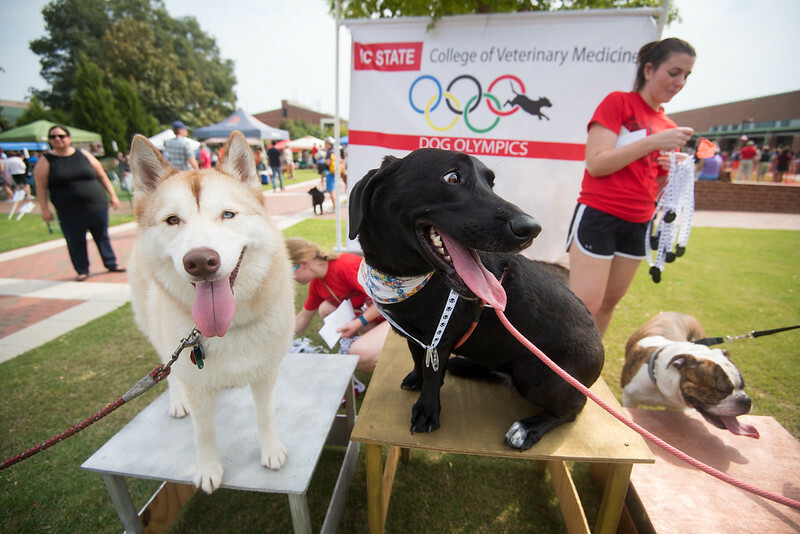 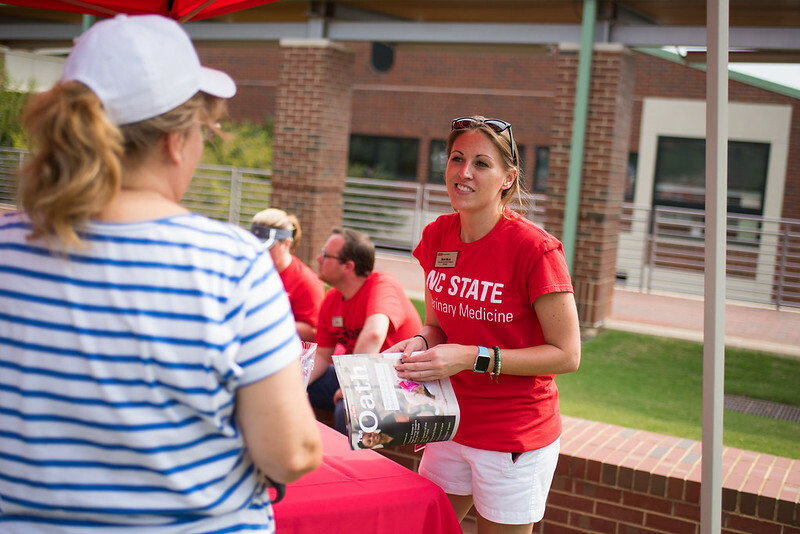 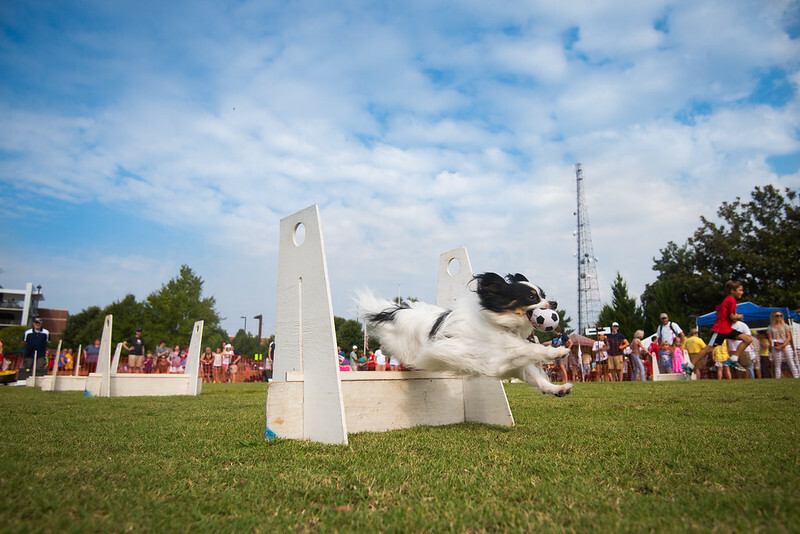 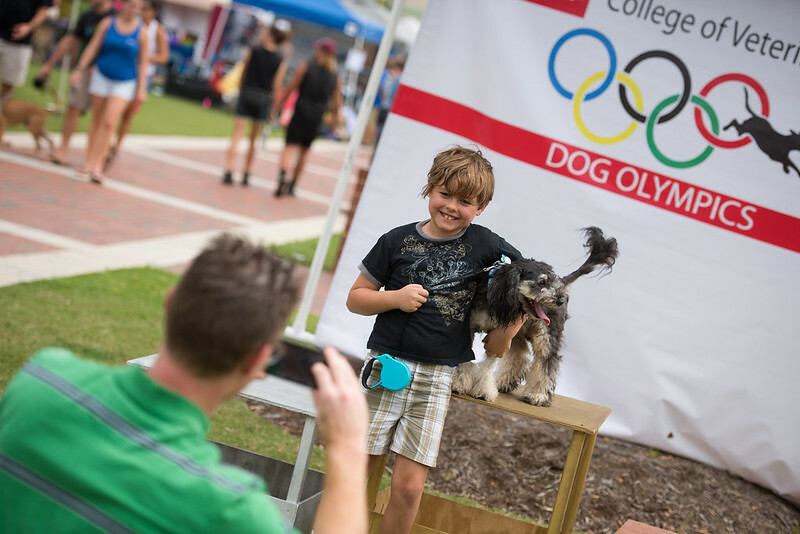 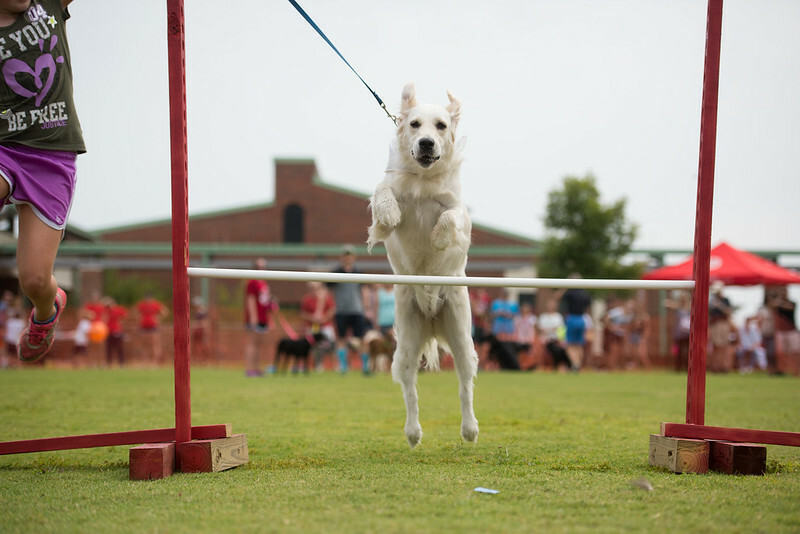 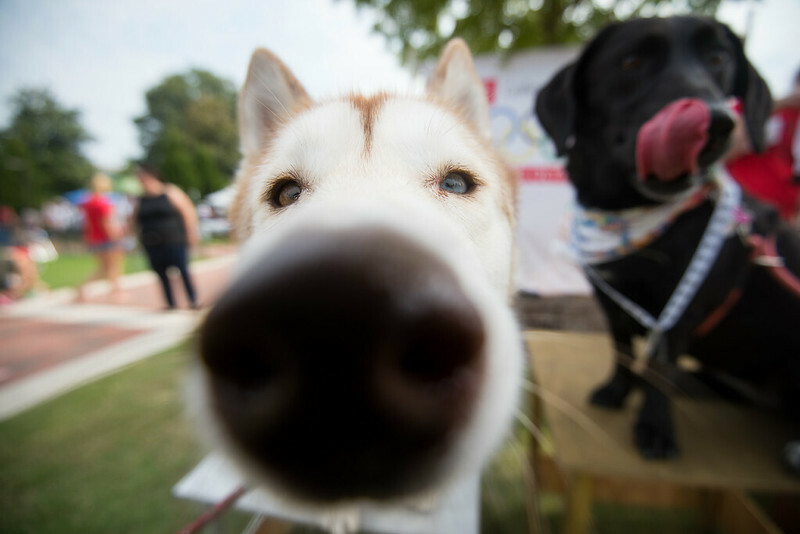 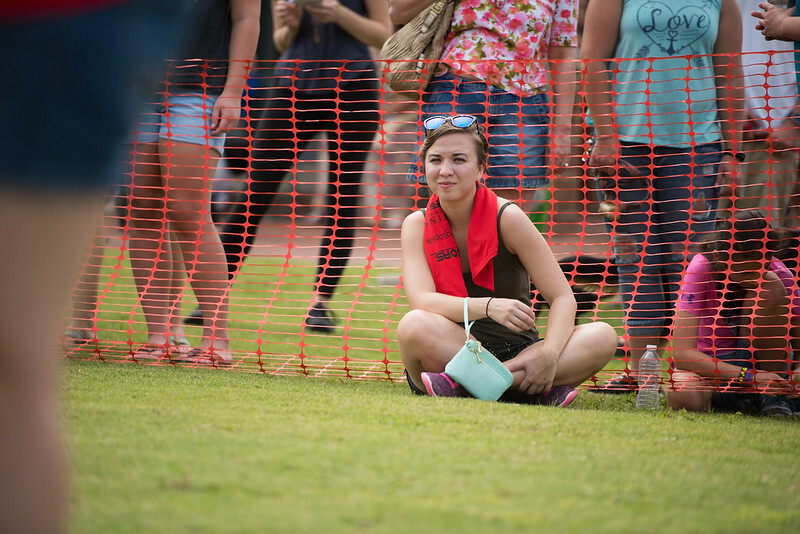 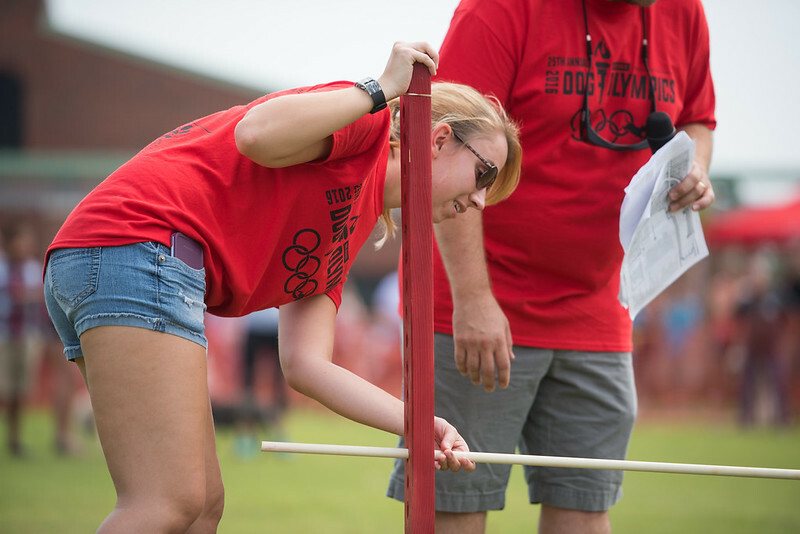 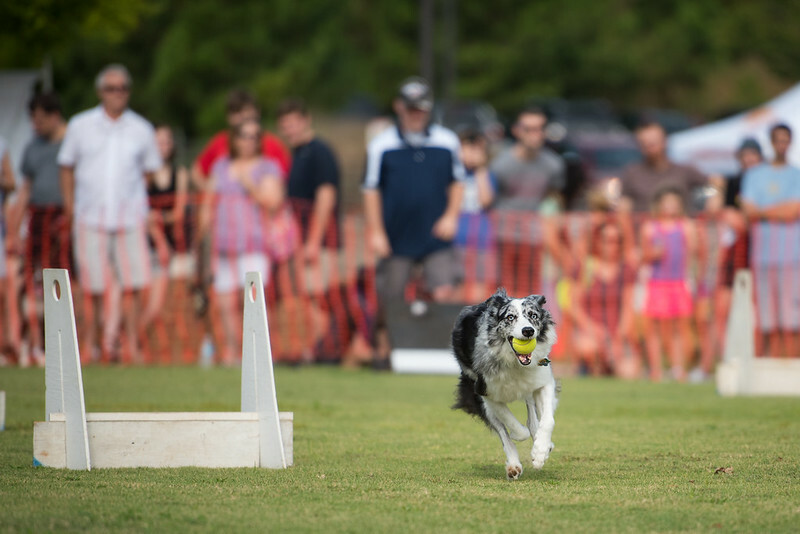 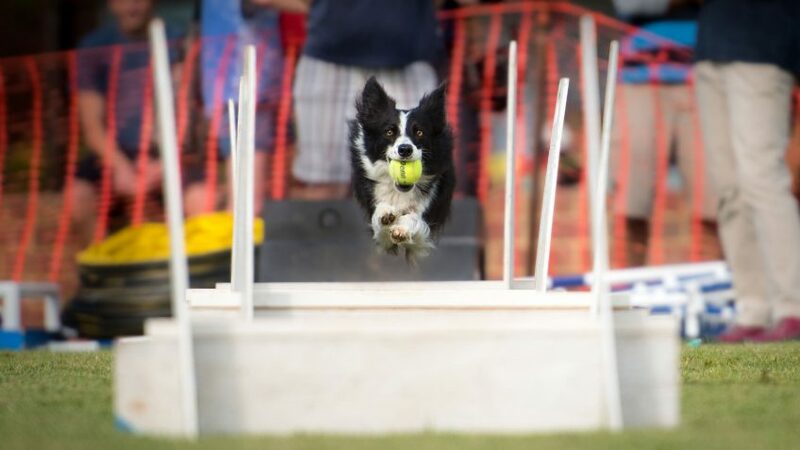 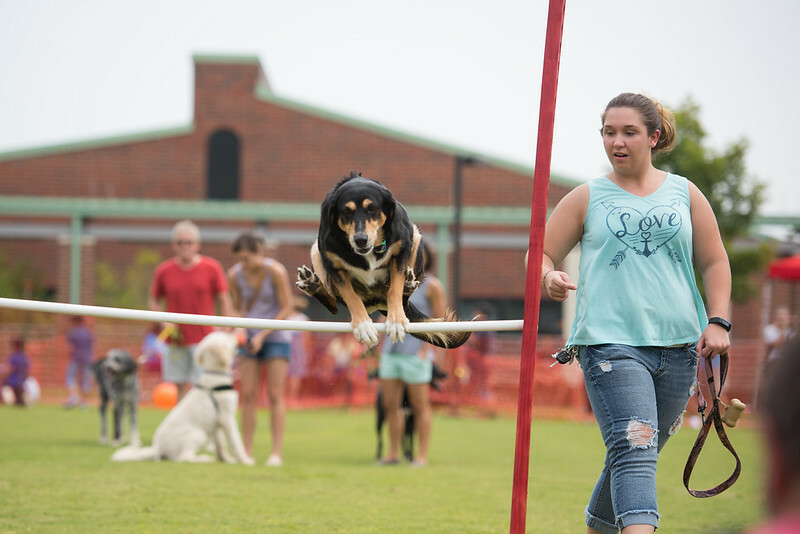 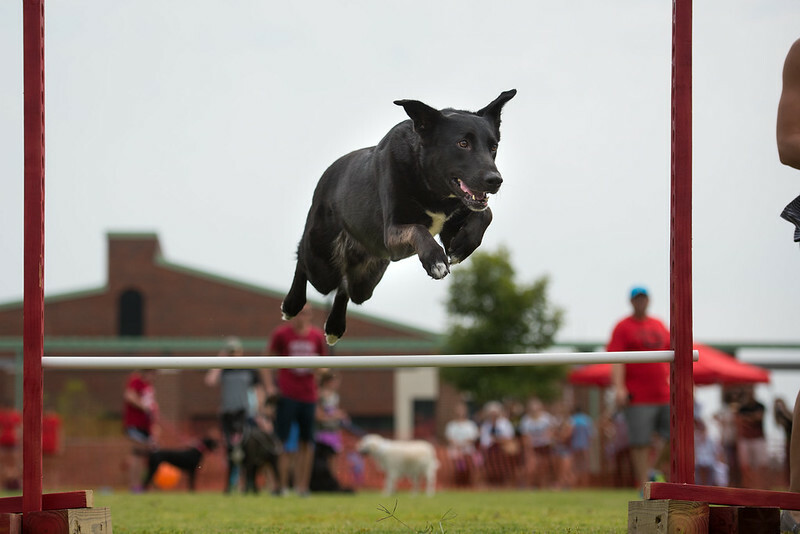 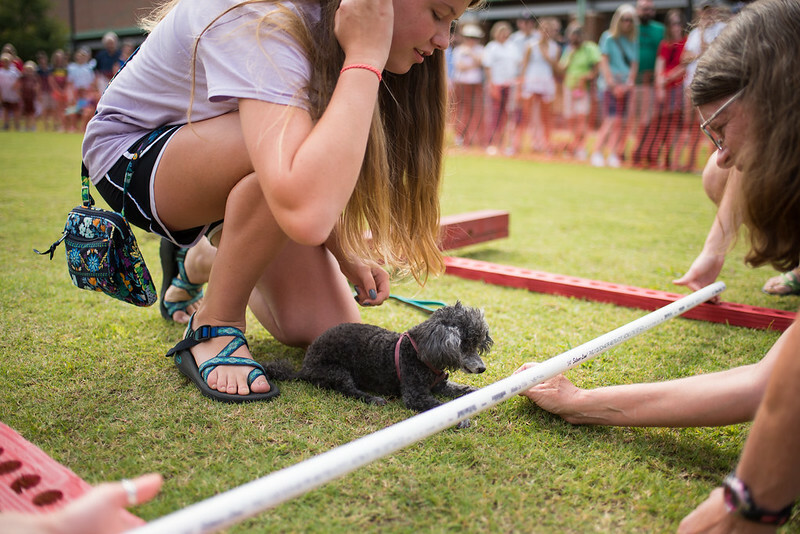 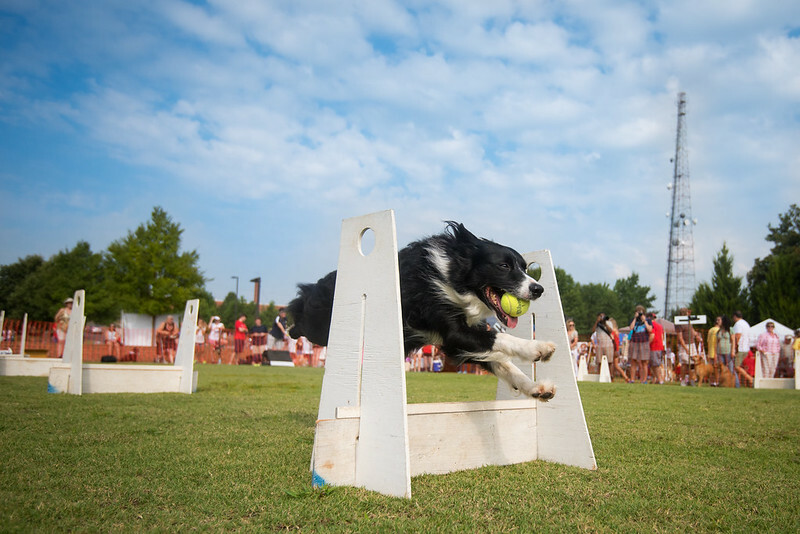 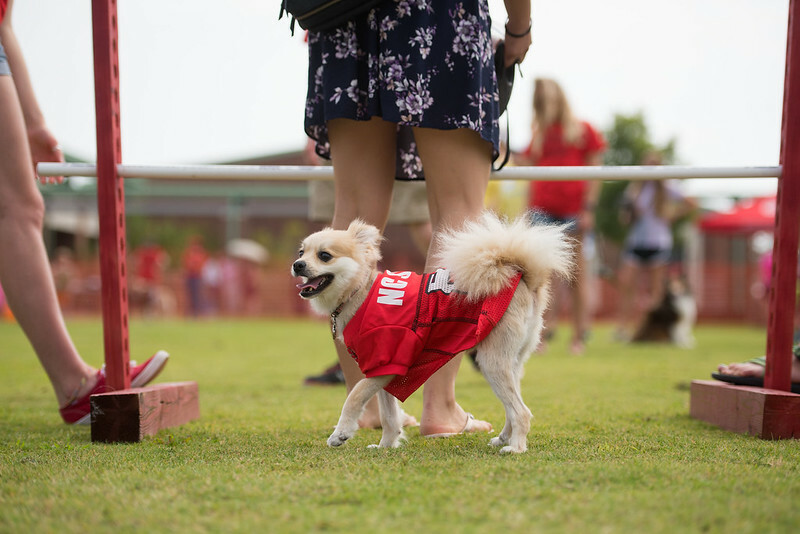 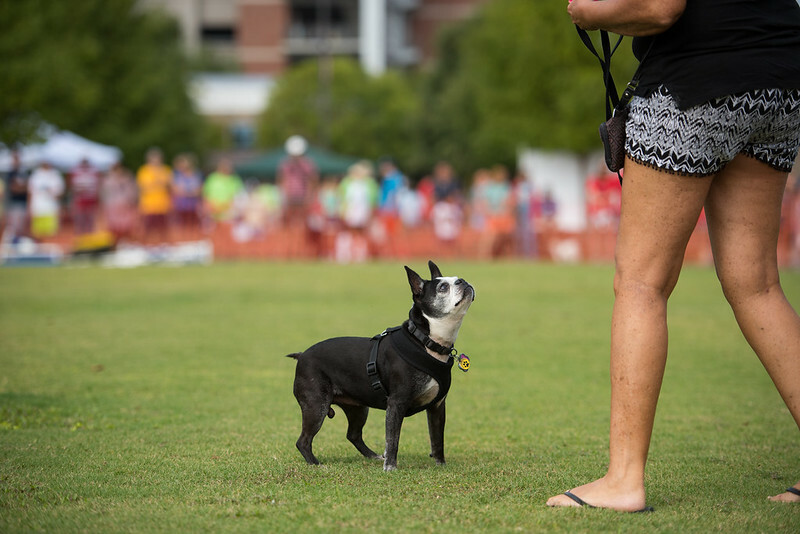 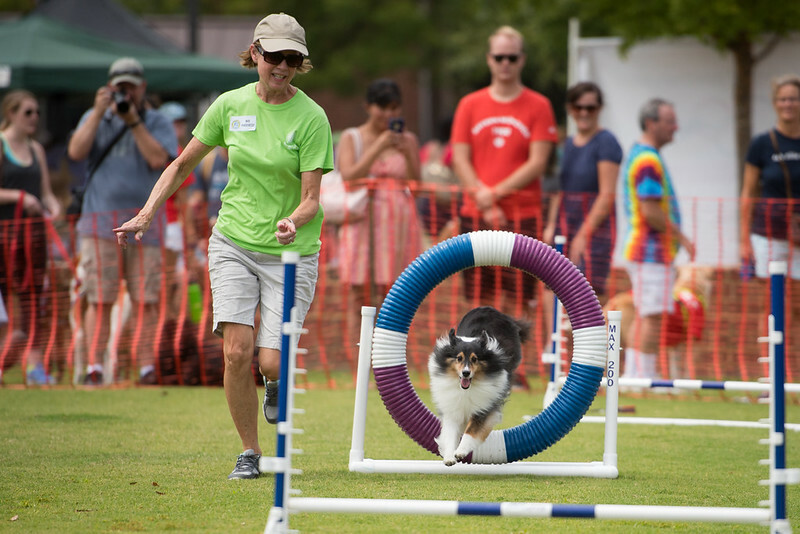 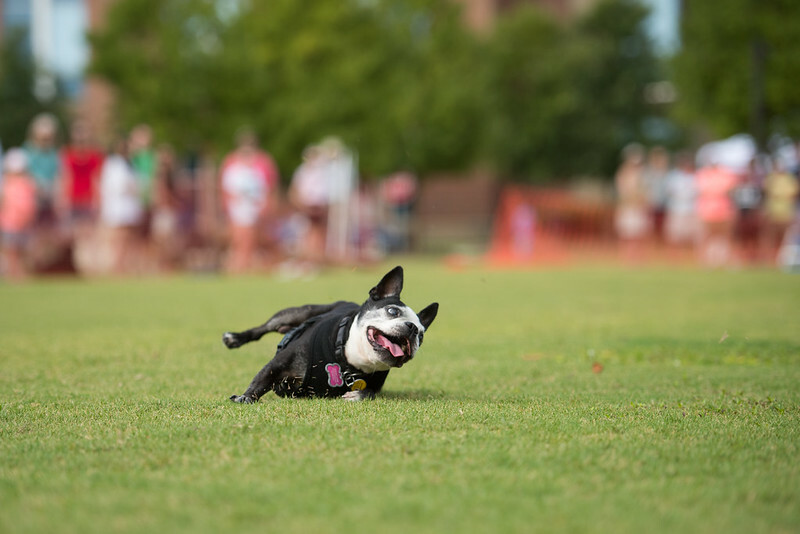 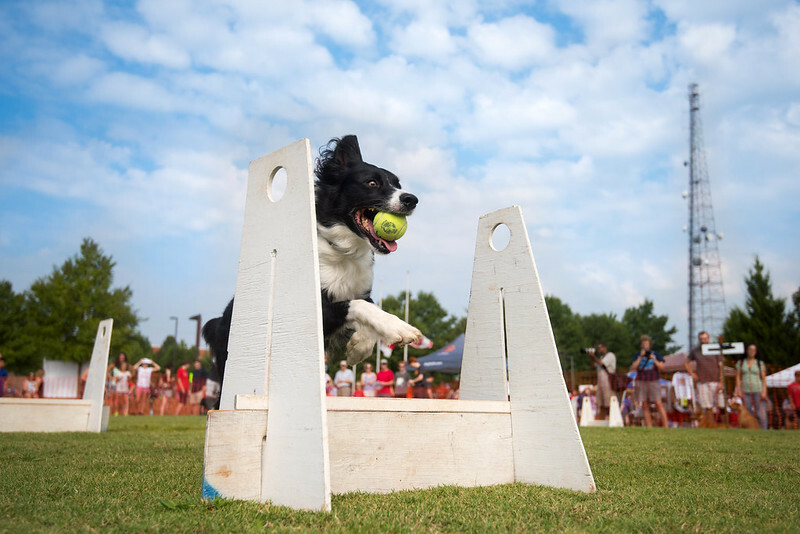 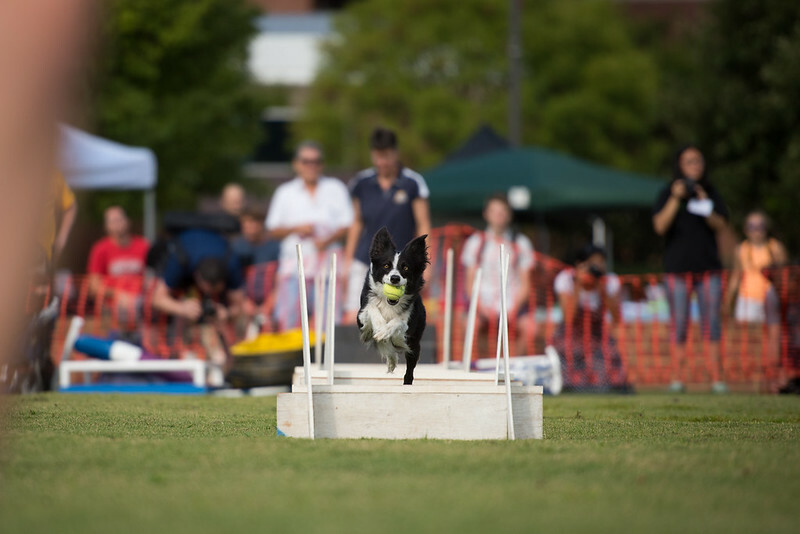 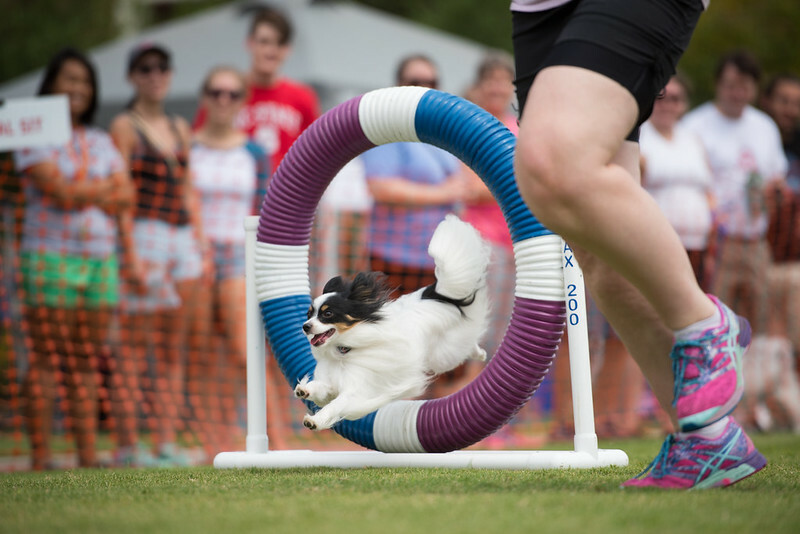 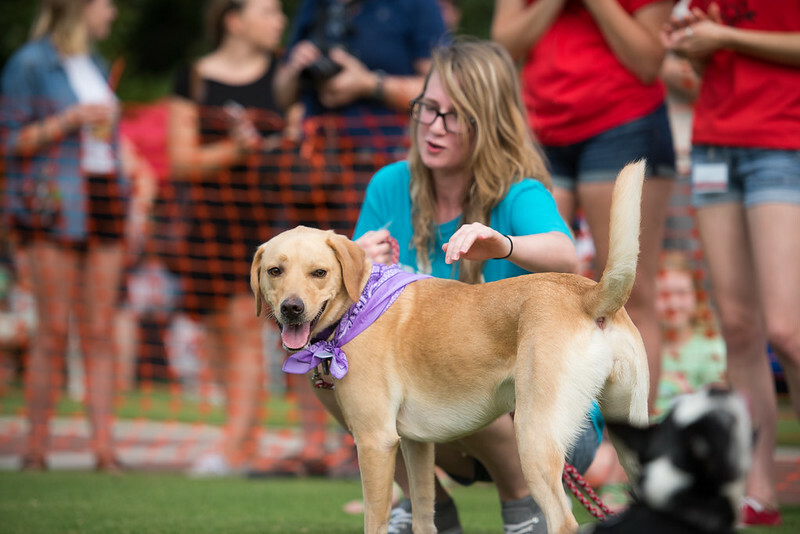 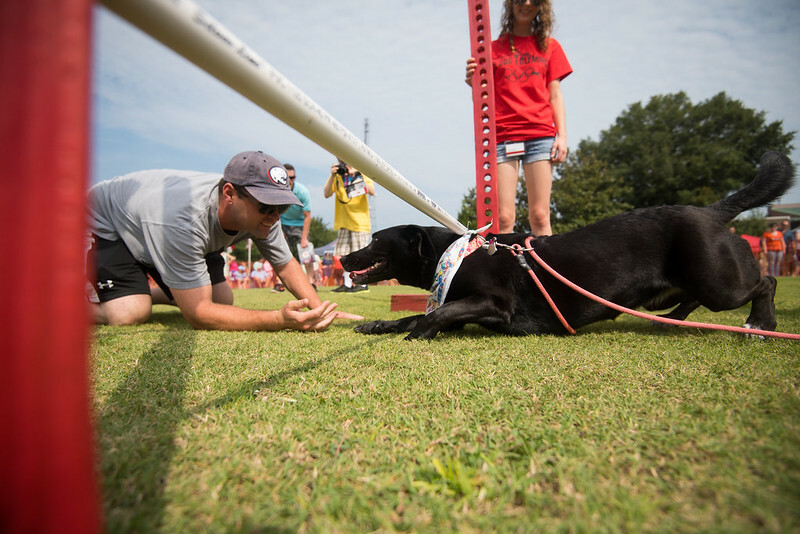 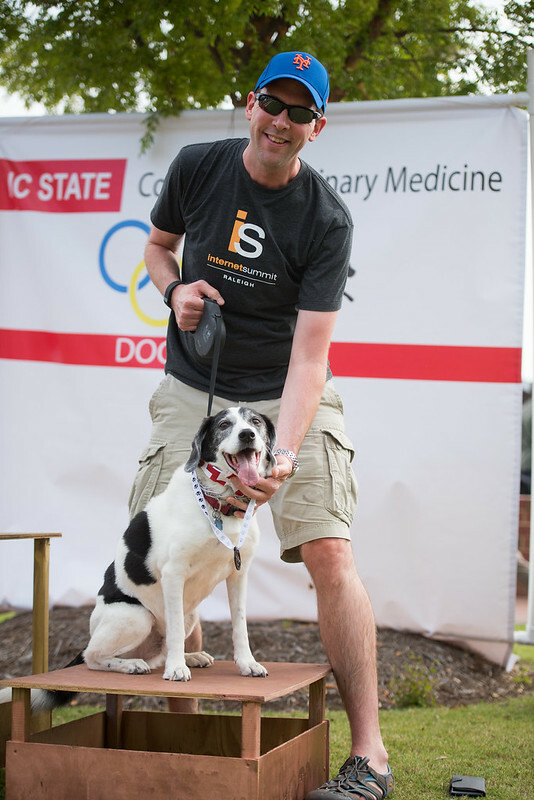 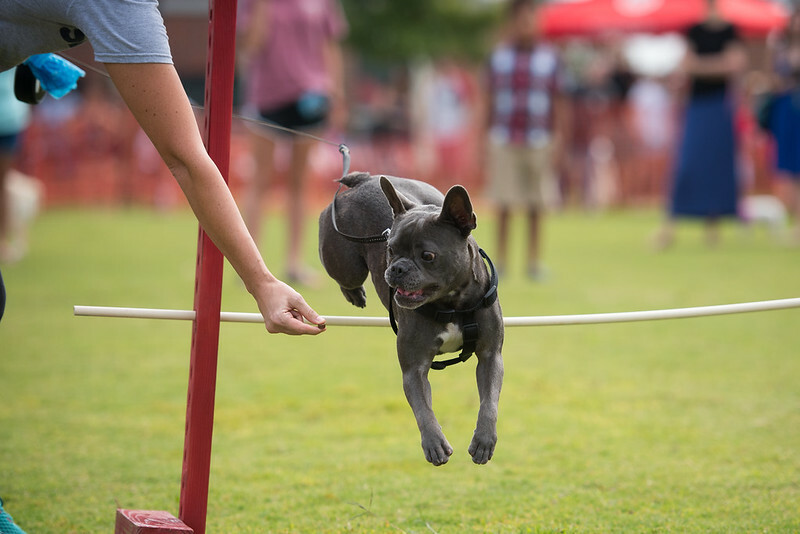 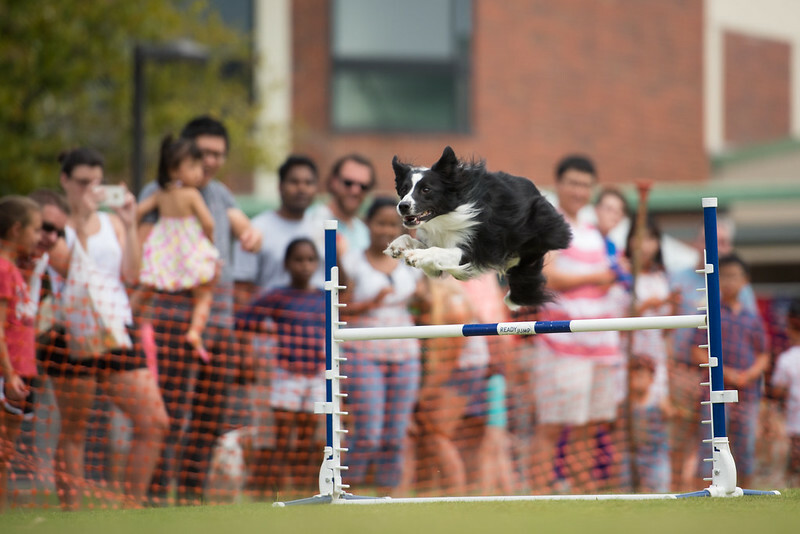 Dozens of furry competitors, their owners and families, and others looking for a fun way to spend a Saturday gathered on the campus of the North Carolina State University College of Veterinary Medicine (CVM) on Saturday, September 10 for the 25th annual Dog Olympics. 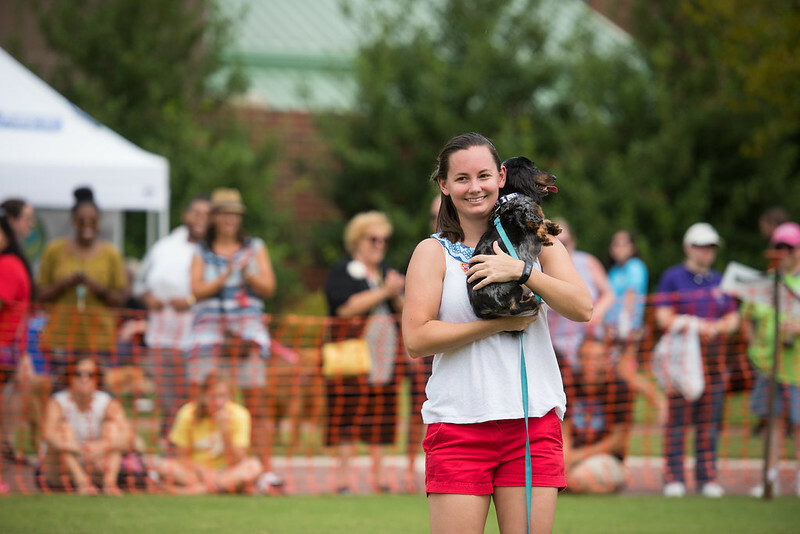 Proceeds from the event, over $2,500, were donated to local area animal rescue and shelter organizations. 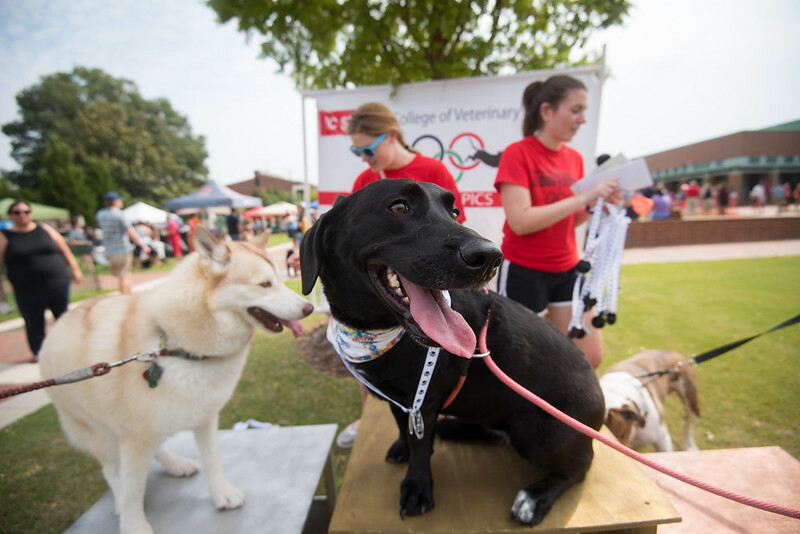 The event is presented by the Companion Animal Wellness Club, a CVM student organization, and is run entirely by volunteers. 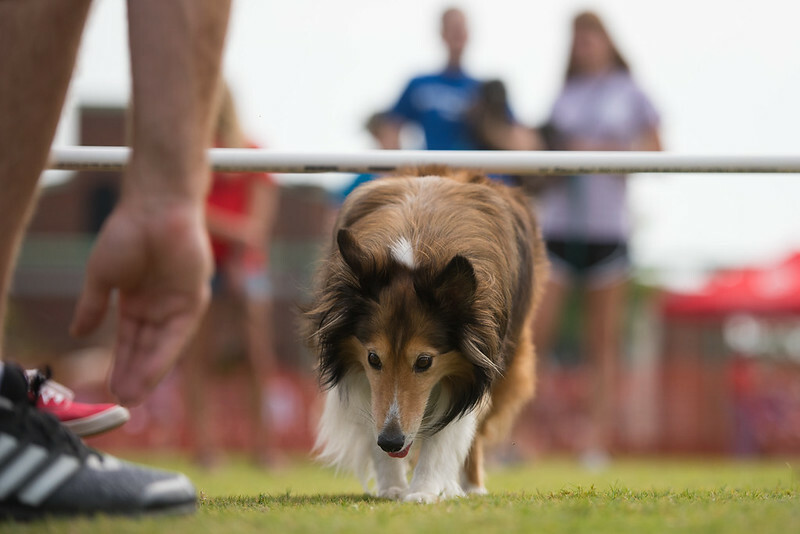 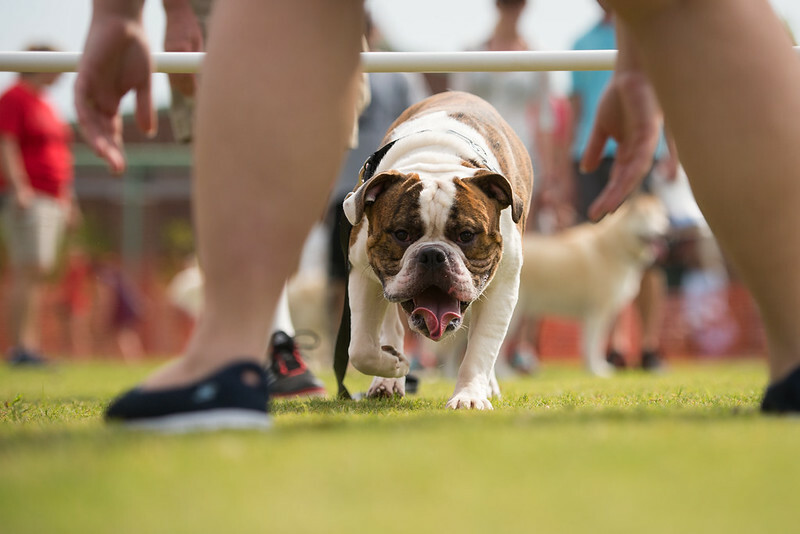 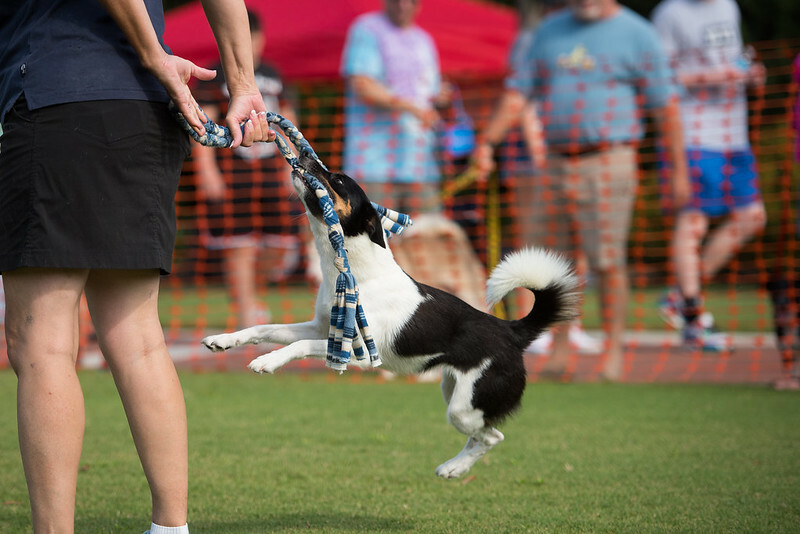 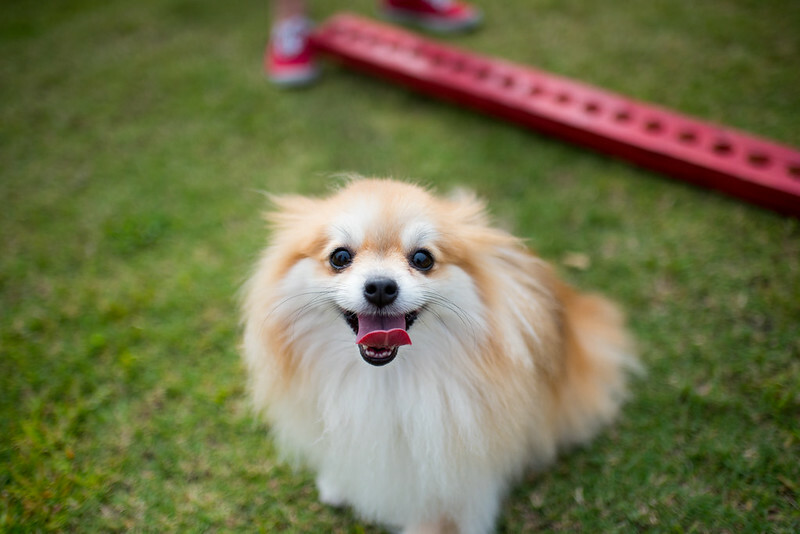 Dogs of all breeds, shapes, and sizes participated in athletic and non-athletic competition, such as Small and Large Dog Limbo, Musical Sit, Howling Contest, Longest Tail and Shortest, Roll Over Rover, and Small and Large Dog High Jump. 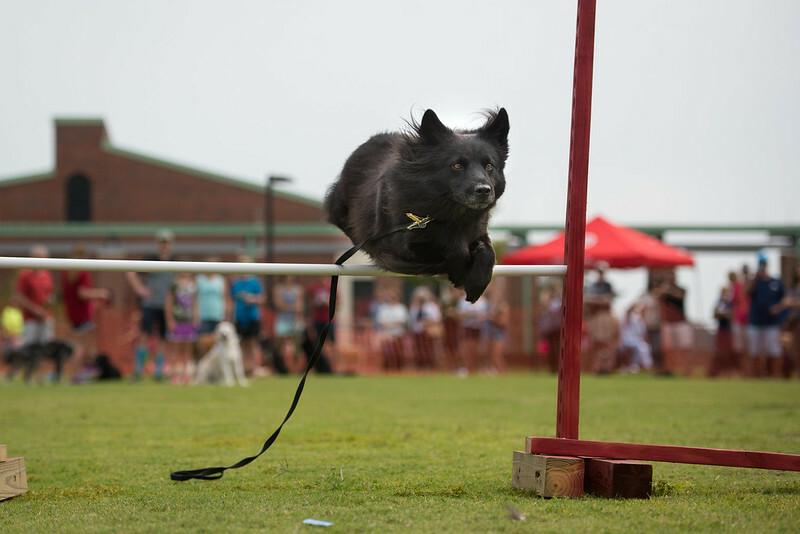 Demonstrations by trained animals included Flyball with Dog Gone Fast, a service dog demonstration by Triumphant Tails, a Canine Search and Rescue demonstration by local law enforcement agencies and various demonstrations by the American Kennel Club (AKC). 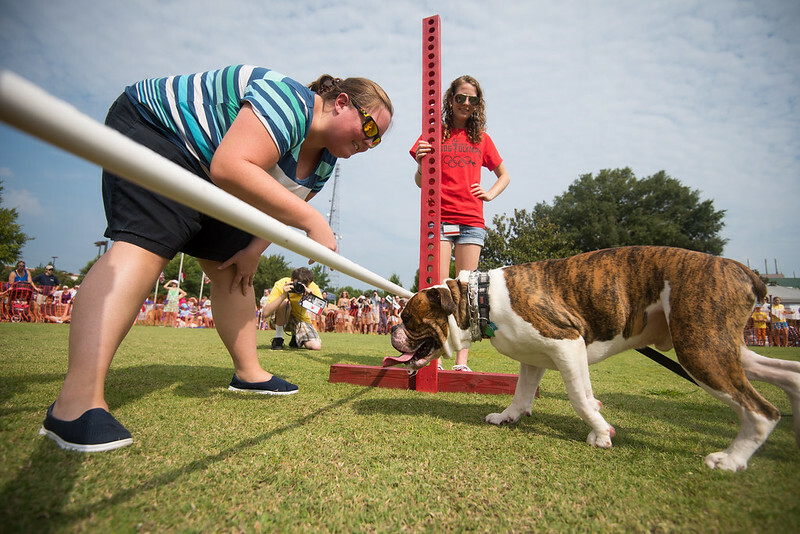 The AKC also provided Canine Good Citizenship Testing for visitors. 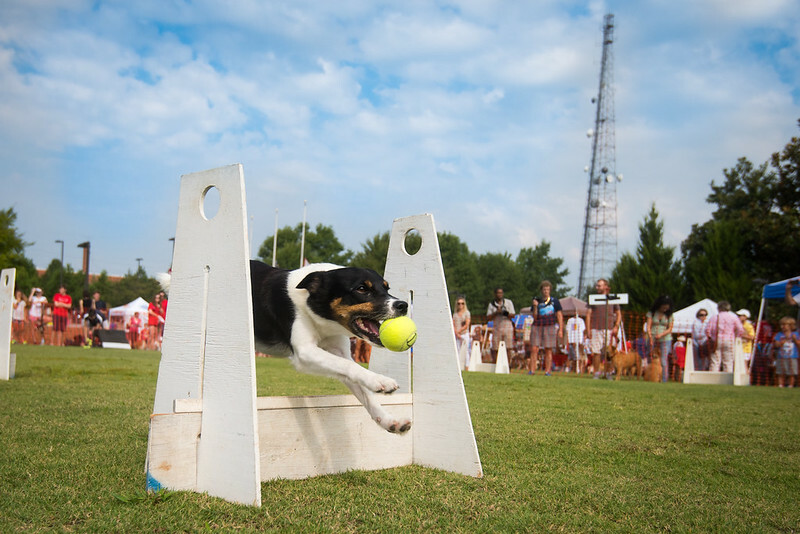 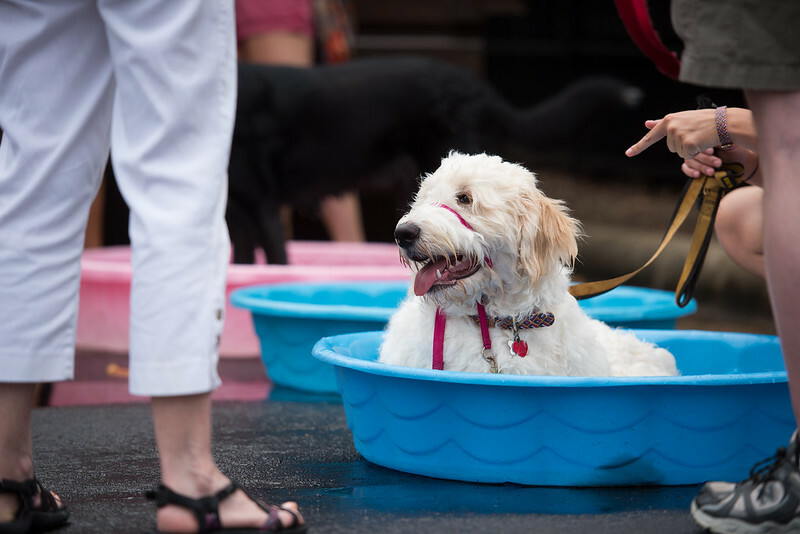 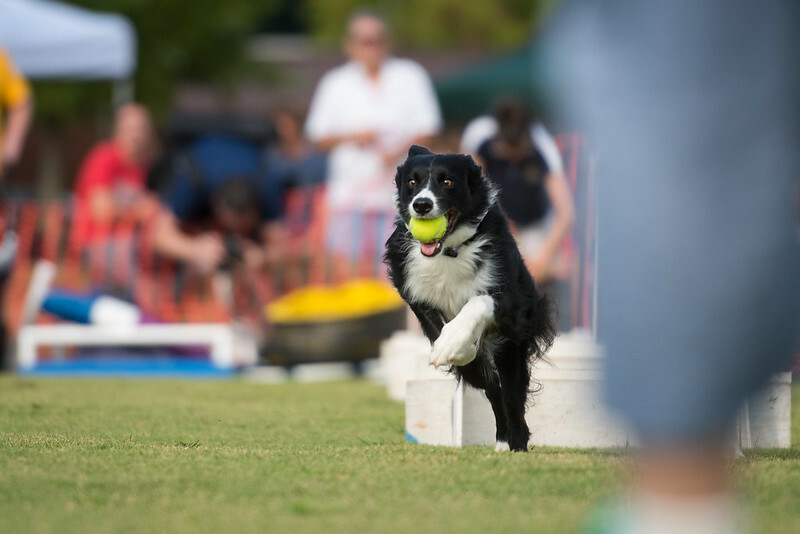 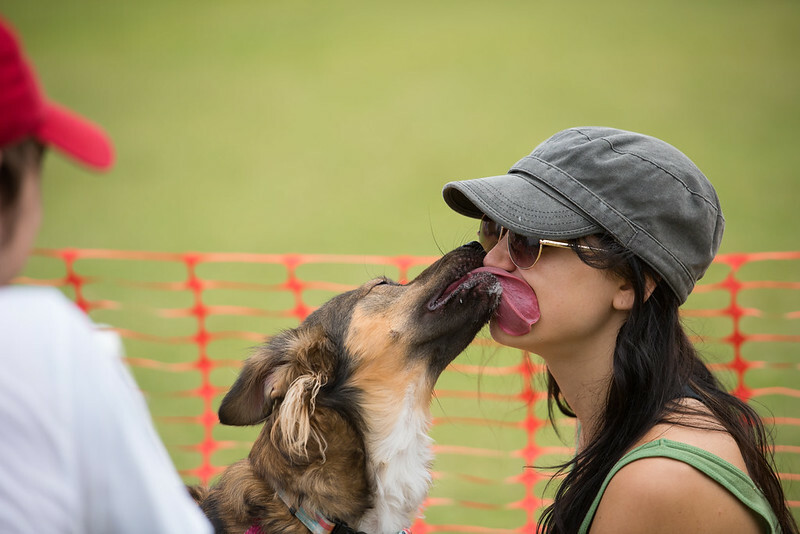 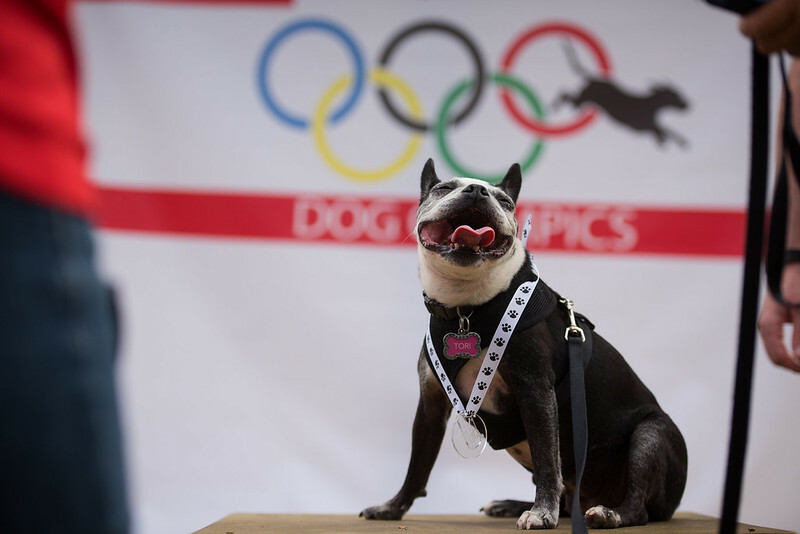 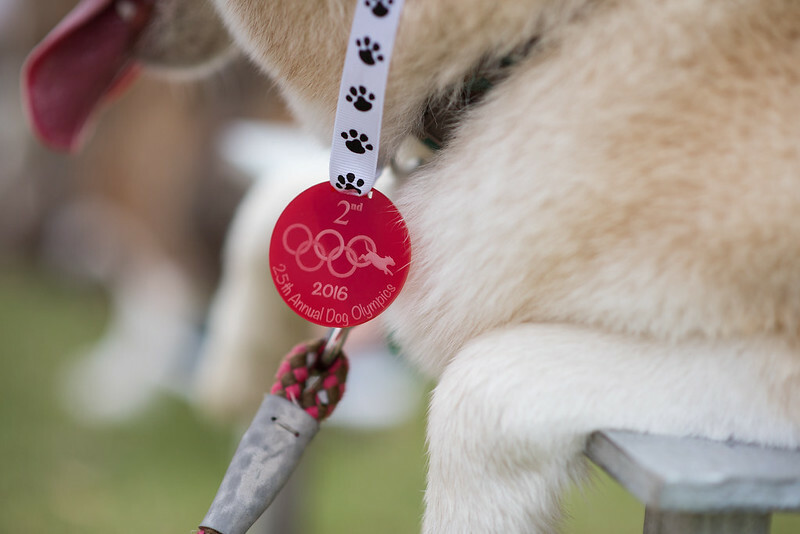 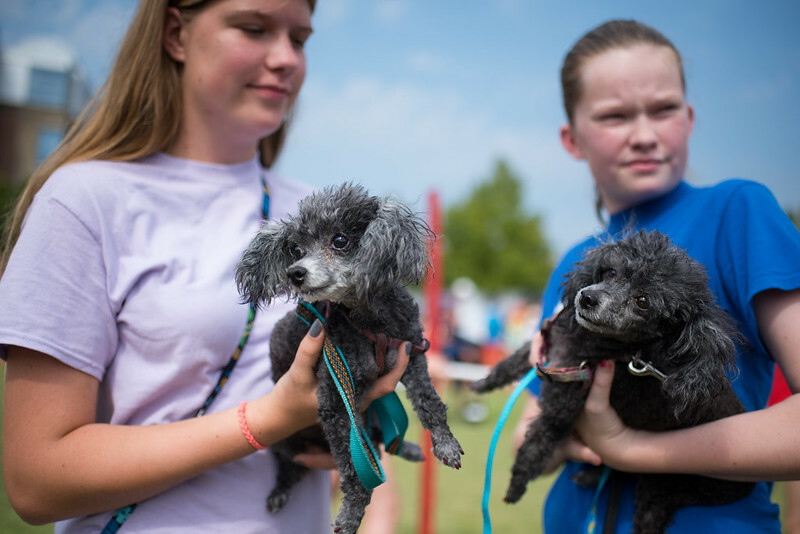 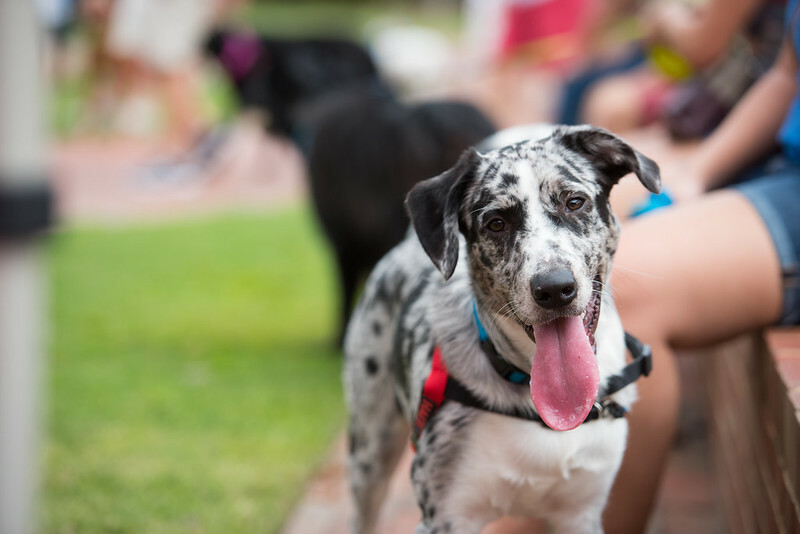 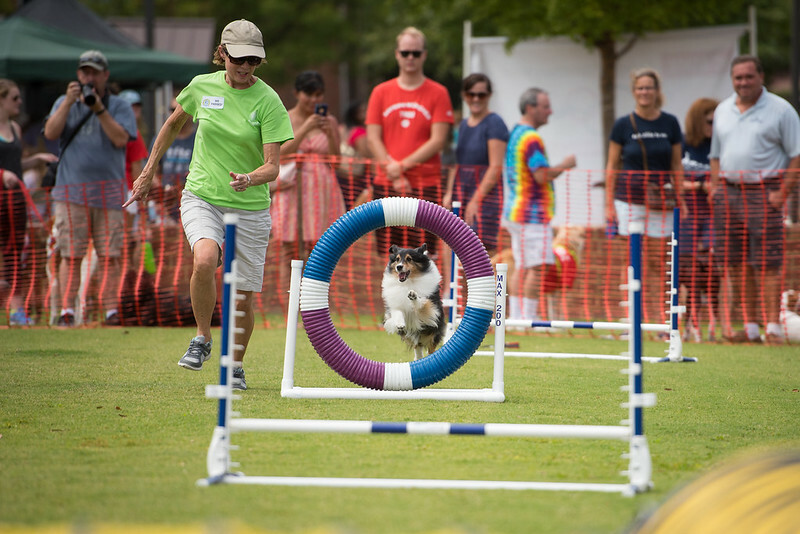 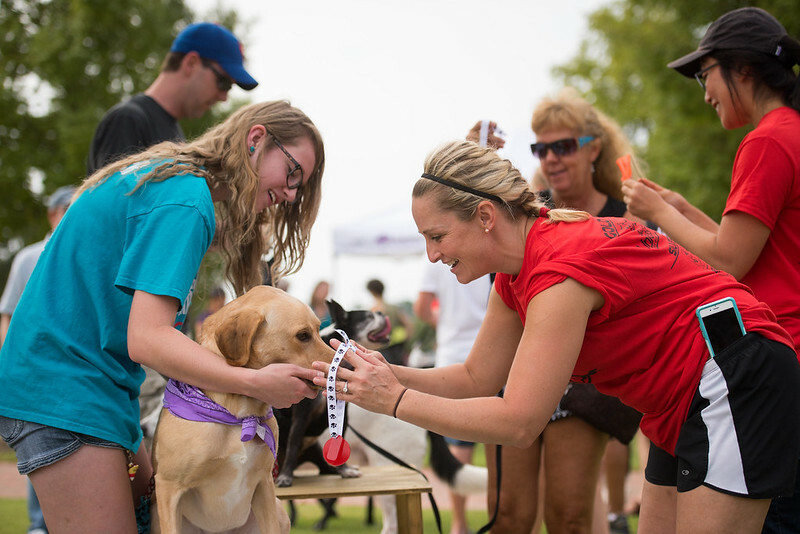 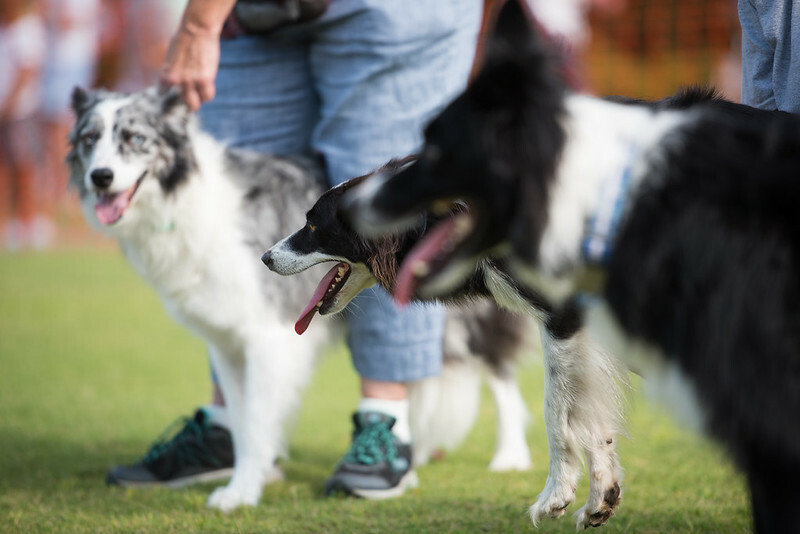 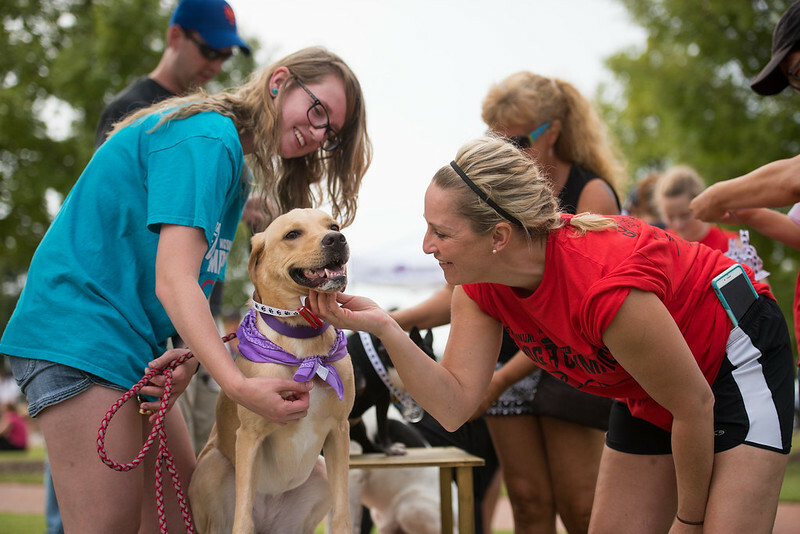 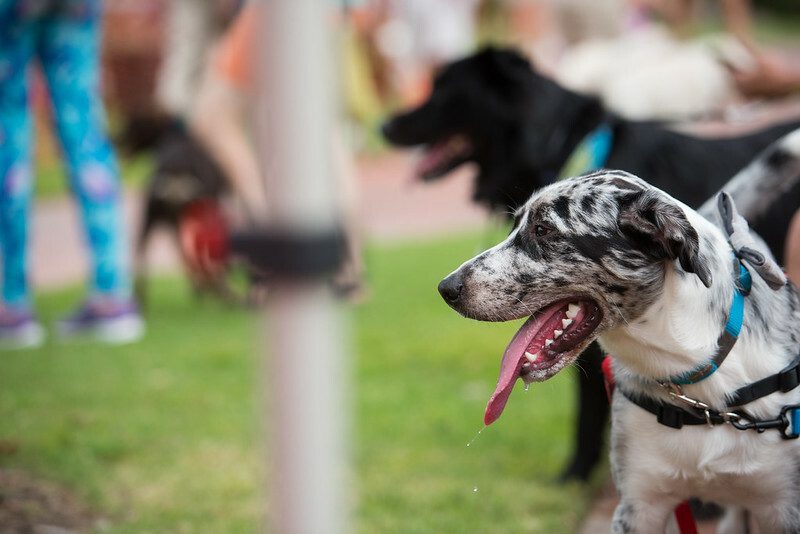 The annual Dog Olympics is a great family day and provides an excellent opportunity to further socialize well behaved dogs as well as an opportunity to support various rescue groups.